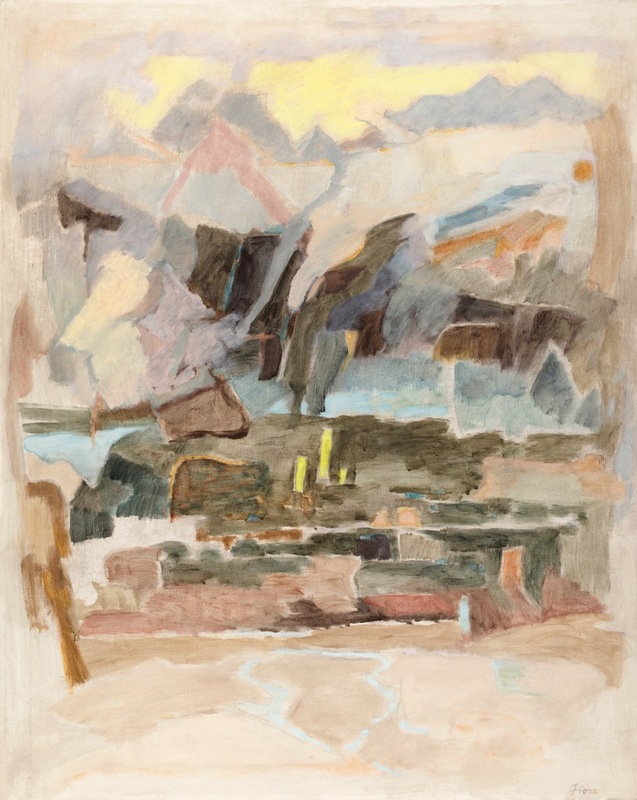 Joseph Fiore (1925 - 2008) | | watercolor | 9" X 12"
Joseph Fiore (1925 - 2008) | | watercolor on paper | 8" X 11"
Joseph Fiore (1925 - 2008) | Ash and White Sun | oil on canvas | 58" X 36"
Joseph Fiore (1925 - 2008) | Barn and Evening Mist | oil on canvas | 30" X 48"
Joseph Fiore (1925 - 2008) | Birch and Pine | oil on canvas | 34" X 46"
Joseph Fiore (1925 - 2008) | Birches on Slope | watercolor on paper | 10" X 13"
Joseph Fiore (1925 - 2008) | Boulder and Trees | pastel on paper | 12" X 8.5"
Joseph Fiore (1925 - 2008) | Camden Hills from Vinalhaven Ferry | oil on paper | 8" X 11"
Joseph Fiore (1925 - 2008) | Canoe St. George | oil | 24" X 32"
Joseph Fiore (1925 - 2008) | Canoe, St George River | oil on canvas | 24" X 32"
Joseph Fiore (1925 - 2008) | Cedars | black brown conte | 9" X 12"
Joseph Fiore (1925 - 2008) | Circular Stone | pastel on paper | 11" X 14"
Joseph Fiore (1925 - 2008) | Clary Hill | oil on linen | 48" X 60"
Joseph Fiore (1925 - 2008) | Clouds and Trees | watercolor on paper | 10" X 13"
Joseph Fiore (1925 - 2008) | Clouds Over Meadow | oil on canvas | 48" X 29"
Joseph Fiore (1925 - 2008) | Cows in Meadow | watercolor on paper | 6" X 9"
Joseph Fiore (1925 - 2008) | Curved Road | oil on canvas | 48" X 38"
Joseph Fiore (1925 - 2008) | Curved Trees, | oil on paper | 12" X 16"
Joseph Fiore (1925 - 2008) | Falls, Spring | watercolor on paper | 10" X 13"
Joseph Fiore (1925 - 2008) | Field at Flatbrook | oil on canvas | 16" X 20"
Joseph Fiore (1925 - 2008) | Field Stone | watercolor on paper | 10" X 13"
Joseph Fiore (1925 - 2008) | Field Stone | watercolor | 10" X 13"
Joseph Fiore (1925 - 2008) | Finn Hill | watercolor | 8" X 11.25"
Joseph Fiore (1925 - 2008) | Flatbrook | oil on paper | 8.5" X 11"
Joseph Fiore (1925 - 2008) | Fort Point | oil on canvas | 24" X 30"
Joseph Fiore (1925 - 2008) | From Cunningham Mt. 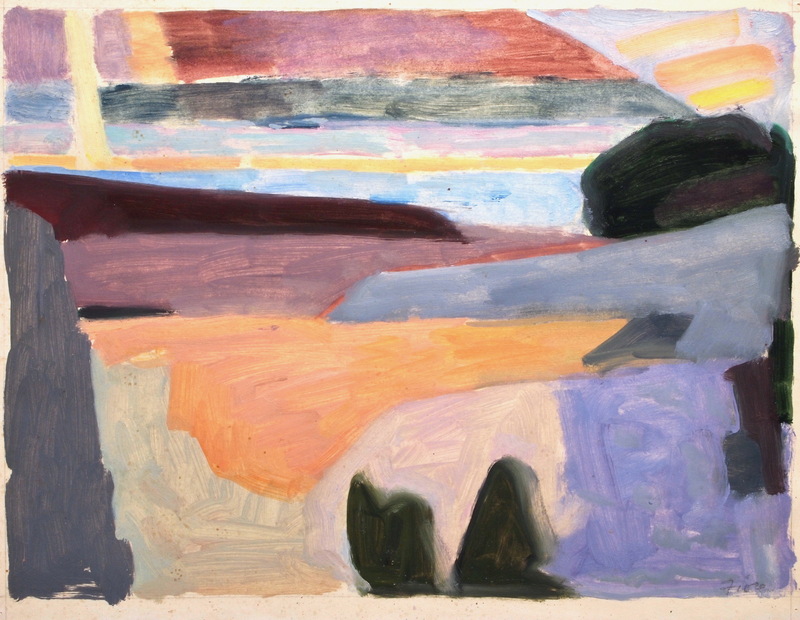 | oil on canvas | 30" X 50"
Joseph Fiore (1925 - 2008) | Grey Meadow Clouds | watercolor | 12" X 16"
Joseph Fiore (1925 - 2008) | Haymounds at Dusk | oil on canvas | 40" X 50"
Joseph Fiore (1925 - 2008) | Kittatiny Mountain Stream | watercolor on paper | 22" X 16"
Joseph Fiore (1925 - 2008) | Landscape Absraction #2 | oil on paper | 11" X 14"
Joseph Fiore (1925 - 2008) | Landscape Abstraction #1 | oil on paper | 0" X 0"
Joseph Fiore (1925 - 2008) | Landscape Abstraction #4 | oil on canvas | 14" X 11"
Joseph Fiore (1925 - 2008) | Landscape Abstraction #5 | oil on paper | 11" X 14"
Joseph Fiore (1925 - 2008) | Large Boulders in Woods | oil on canvas | 16" X 30"
Joseph Fiore (1925 - 2008) | Ledges and Stream | oil on canvas | 40" X 30"
Joseph Fiore (1925 - 2008) | Long Cove | oil on canvas | 36" X 24"
Joseph Fiore (1925 - 2008) | Maine Coast Series # | watercolor on paper | 0" X 0"
Joseph Fiore (1925 - 2008) | Meadow | | 10" X 13"
Joseph Fiore (1925 - 2008) | Morning Fog | watercolor on paper | 9" X 12"
Joseph Fiore (1925 - 2008) | Mt. 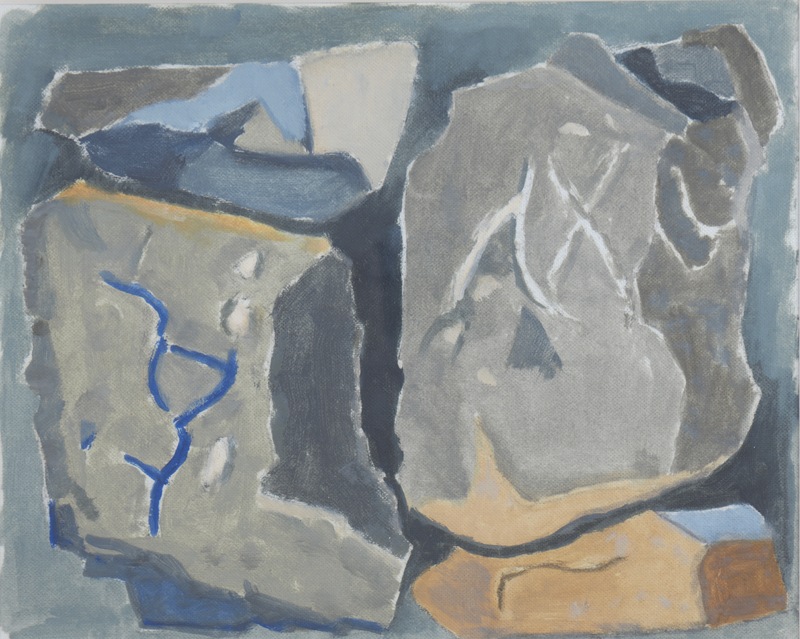 Jo Boulders | oil on canvas | 26" X 32"
Joseph Fiore (1925 - 2008) | Mt. 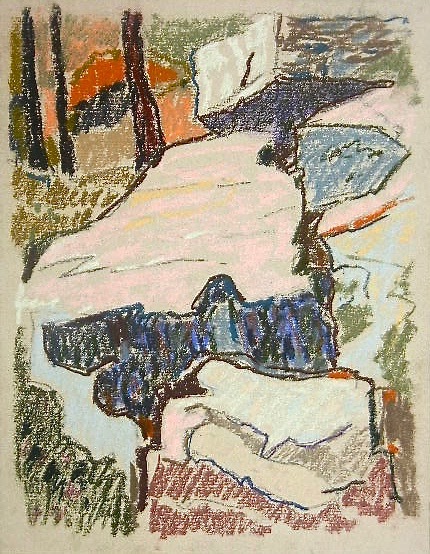 Jo Boulders II | oil on canvas | 26" X 36"
Joseph Fiore (1925 - 2008) | Night in Central Park, NYC | oil on paper | 8.5" X 11"
Joseph Fiore (1925 - 2008) | Old Cow Path | oil on canvas | 0" X 0"
Joseph Fiore (1925 - 2008) | Owls Head II | oil on canvas | 0" X 0"
Joseph Fiore (1925 - 2008) | Owl's Head Rock | watercolor, | 9" X 12"
Joseph Fiore (1925 - 2008) | Path Along Flatbrook | oil on paper | 11" X 14"
Joseph Fiore (1925 - 2008) | Pemaquid Rocks | fiore | 12" X 16"
Joseph Fiore (1925 - 2008) | Pine and Rocks | oil on canvas | 28" X 42"
Joseph Fiore (1925 - 2008) | Reflecting Trees | watercolor on paper | 8" X 12"
Joseph Fiore (1925 - 2008) | Road Near Walpack | oil on canvas | 18" X 20"
Joseph Fiore (1925 - 2008) | Savage Pond | oil on canvas | 34" X 50"
Joseph Fiore (1925 - 2008) | Setting Sun | oil on paper | 12" X 18"
Joseph Fiore (1925 - 2008) | Spring Trees by Kil | watercolor | 7.5" X 10"
Joseph Fiore (1925 - 2008) | Spring Trees by Lake | pastel | 8.5" X 10.5"
Joseph Fiore (1925 - 2008) | Spring, Delaware River | pastel | 9" X 11.75"
Joseph Fiore (1925 - 2008) | Spruce Head Fog | oil on canvas | 34" X 50"
Joseph Fiore (1925 - 2008) | Spruce Head-Study | oil on paper | 9" X 12"
Joseph Fiore (1925 - 2008) | St. Georges River Marsh | oil on Canva | 28" X 44"
Joseph Fiore (1925 - 2008) | Study for Pentahedon Collection | oil on paper | 11" X 14"
Joseph Fiore (1925 - 2008) | Supporting Rock | oil on paper | 0" X 0"
Joseph Fiore (1925 - 2008) | The Beehive, Acadia III | oil on paper | 12" X 18"
Joseph Fiore (1925 - 2008) | The Landscape | oil on canvas | 50" X 40"
Joseph Fiore (1925 - 2008) | Thunder Hole | oil on canvas | 36" X 28"
Joseph Fiore (1925 - 2008) | Travel Lake | oil on canvas | 30" X 50"
Joseph Fiore (1925 - 2008) | Untitled (Mini series #2) | oil on board | 4.75" X 6.5"
Joseph Fiore (1925 - 2008) | Untitled (Rock Series) | oil on canvas framed behind glass | 9" X 11"
Joseph Fiore (1925 - 2008) | Untitled Landscape Abstraction (winter) | oil on board | 6.5" X 4.75"
This precious little oil might be an abstraction that followed and was influenced by the identical size and same paper board base of the Central Park, Winter oil. 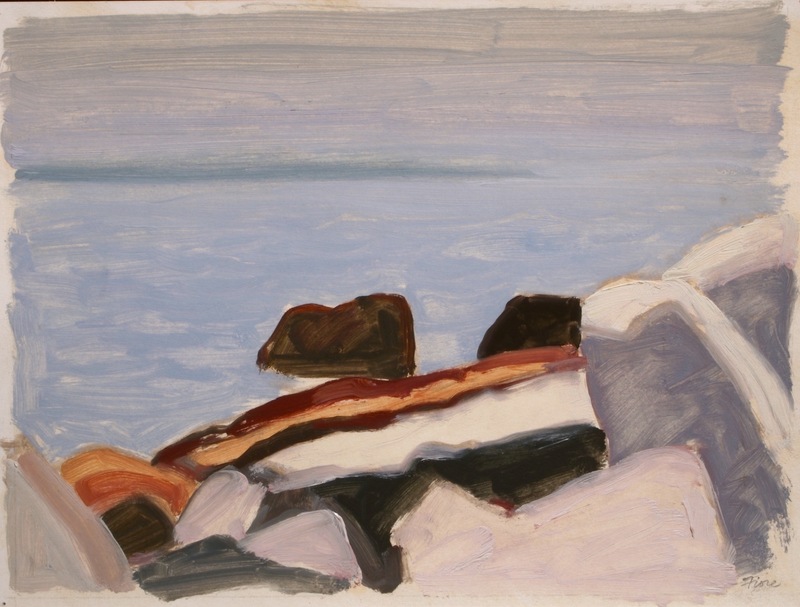 Joseph Fiore (1925 - 2008) | Untitled- Rock Series | oil on paper | 14" X 17"
Joseph Fiore (1925 - 2008) | Untitled Seascape | oil on canvas | 40" X 48"
Joseph Fiore (1925 - 2008) | Virgo Tiger | oil on canvas | 38" X 48"
Joseph Fiore (1925 - 2008) | Walpack Glen | watercolor, white quoache and charcoal pencil | 12" X 9"
Joseph Fiore (1925 - 2008) | Walpack- Spring | watercolor, | 8.5" X 11"
Joseph Fiore (1925 - 2008) | Watery Passage | oil on paper | 14" X 11"
Joseph Fiore (1925 - 2008) | Whiteface, from Copperas Pond | oil on paper | 26" X 32"
Joseph Fiore (1925 - 2008) | Winter Patterns | watercolor on paper | 11" X 15"
Joseph Fiore (1925 - 2008) | Winter Pines | oil on board | 14" X 10"
Joseph Fiore (1925 - 2008) | Y- Falls | oil on paper | 24" X 18"
Joseph Fiore (1925 - 2008) | Yellow Lobster Boat | oil on canvas | 30" X 42"
Joseph Fiore (1925 - 2008) | Yellow Sun Reflection | oil on canvas | 30" X 42"
Joseph Fiore (1925 - 2008) | Bay from Camden Rocks | oil on canvas | 15" X 18"
Joseph Fiore (1925 - 2008) | Yellow-Green Afterglow | oil on canvas | 20" X 15"
Joseph A. Fiore (1925-2008), a Black Mountain College alumnus and teacher, and critically acclaimed vanguard New York artist in the 1960's, spent his summers in Jefferson, Maine in later life. 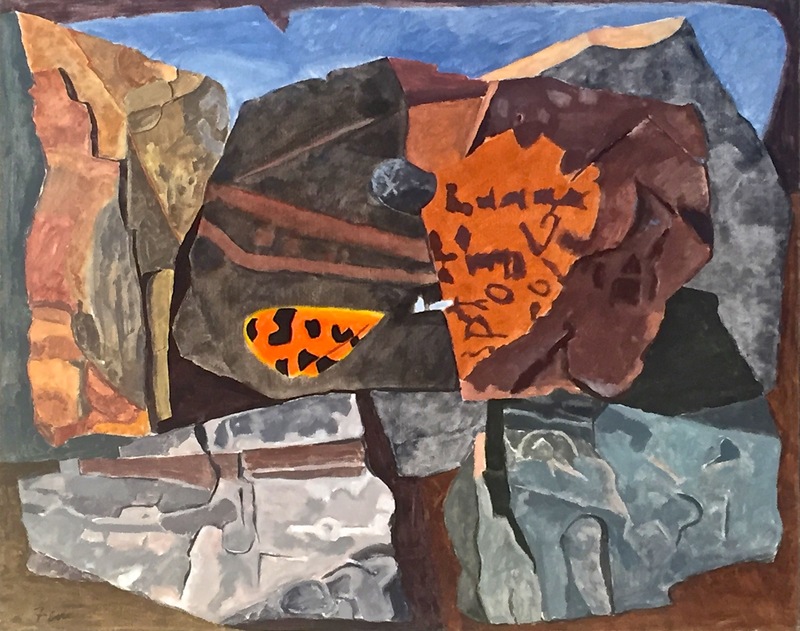 From this period stem his representational landscapes, which are important transitional pieces from an art collector's perspective, and testimonial to the depth of connection Fiore felt with the natural world. 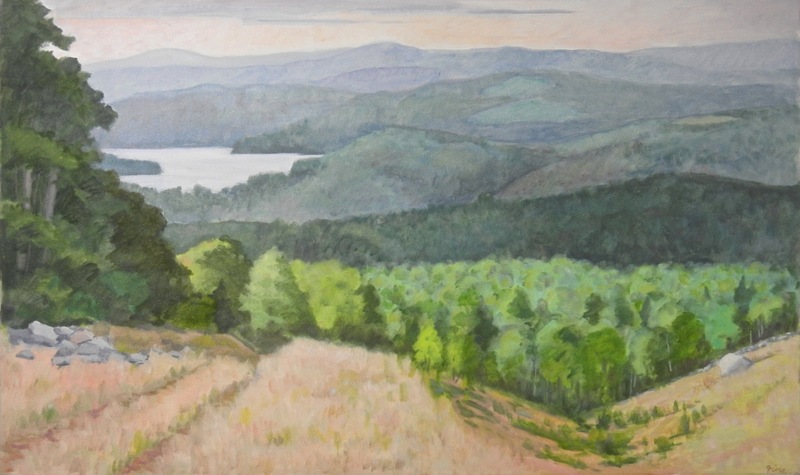 During his lifetime, Fiore generously supported the work of Maine Farmland Trust. 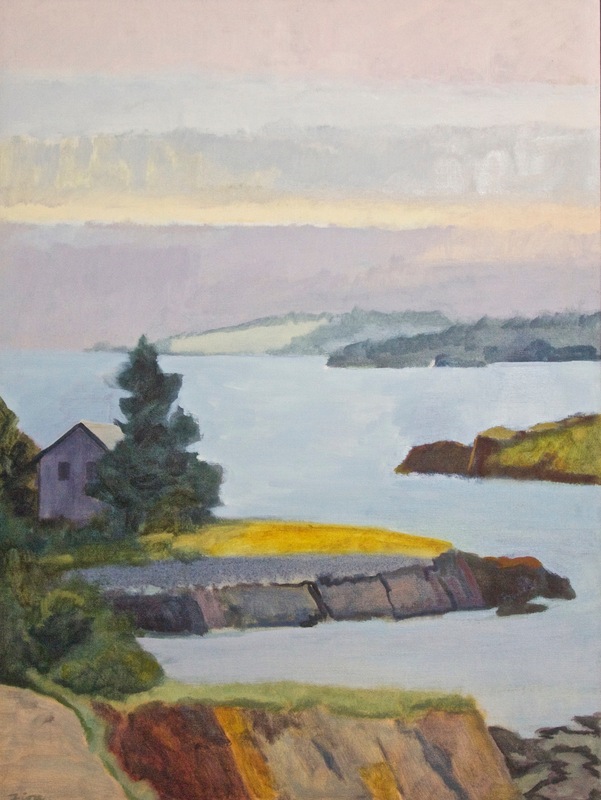 Today, through Fiore's art, the Fiore family continues to support Maine Farmland Trust in its mission to preserve Maine's farmland forever. 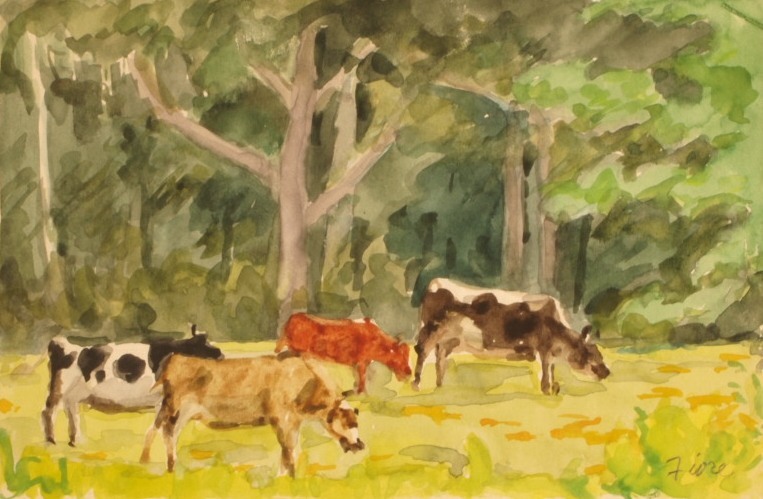 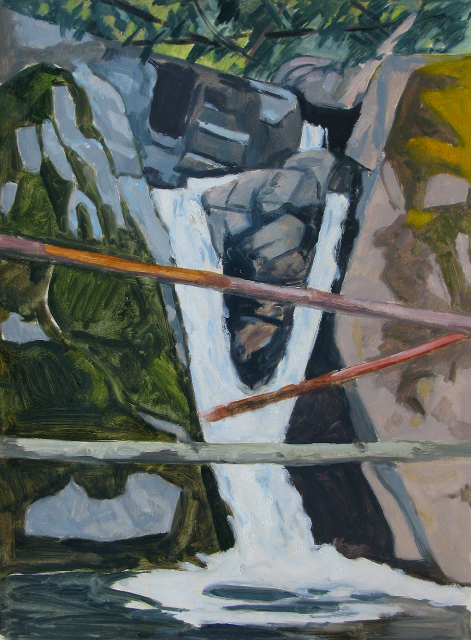 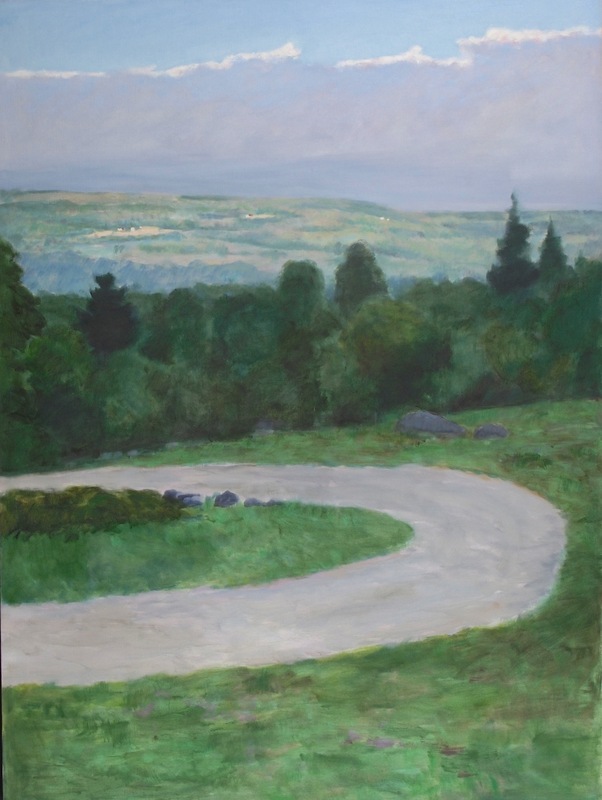 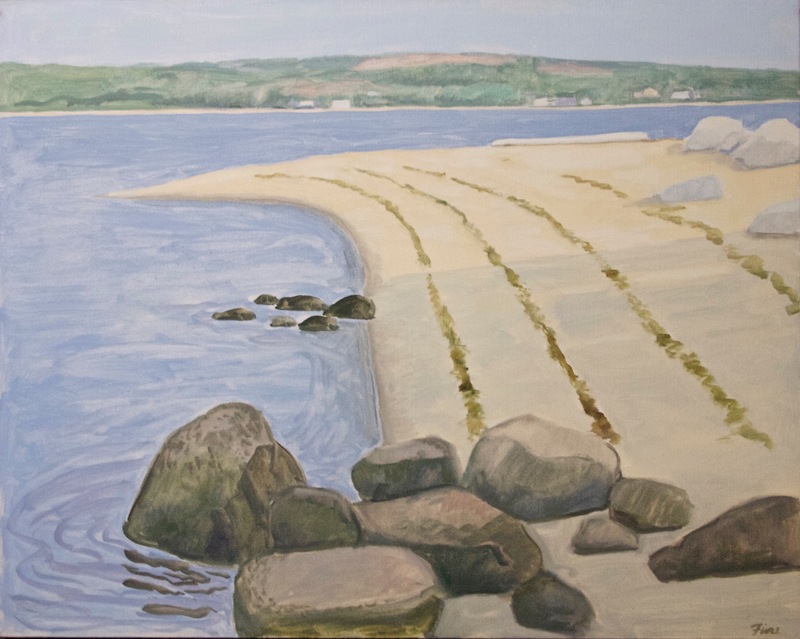 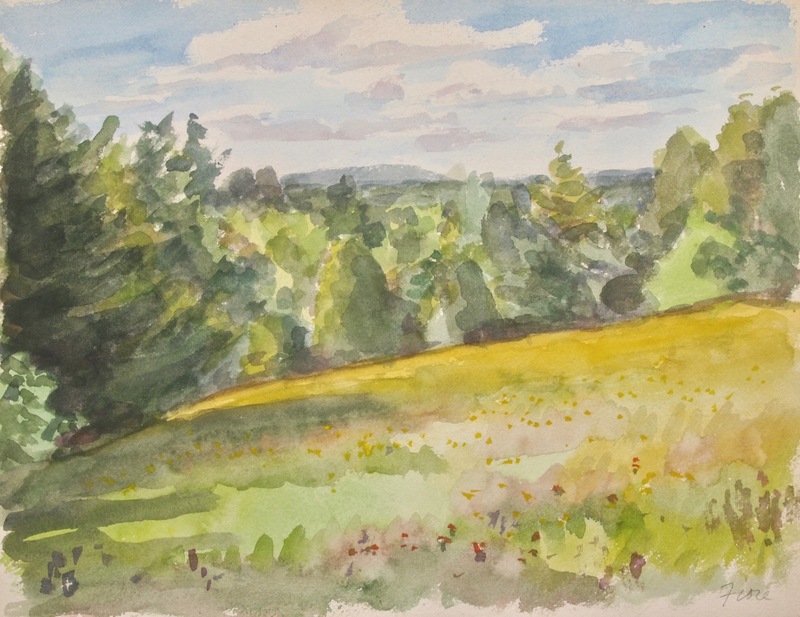 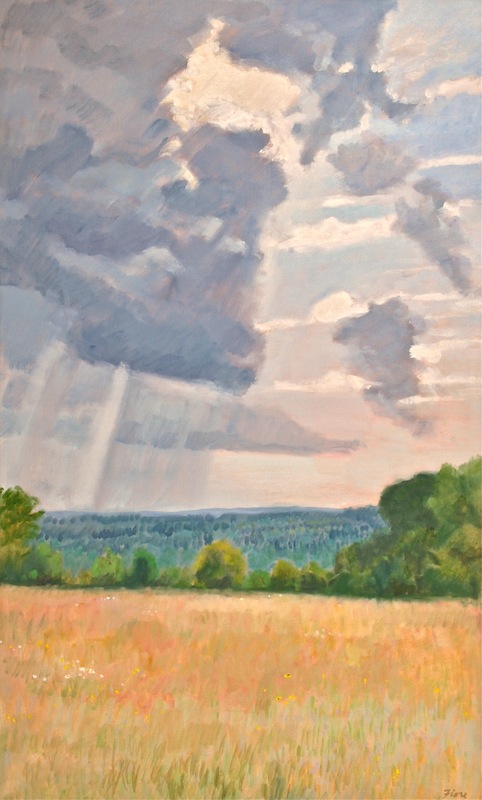 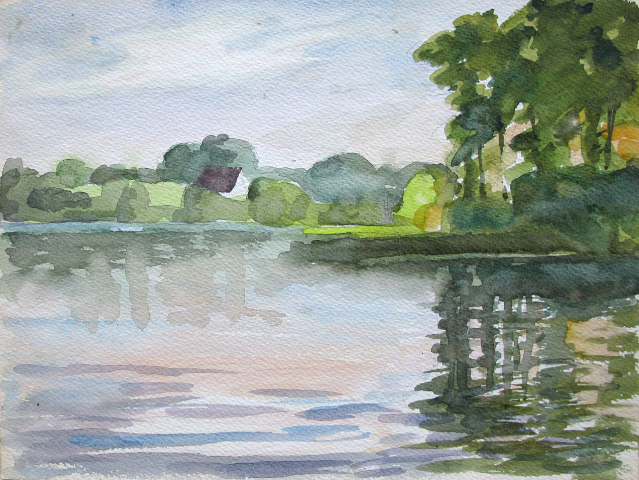 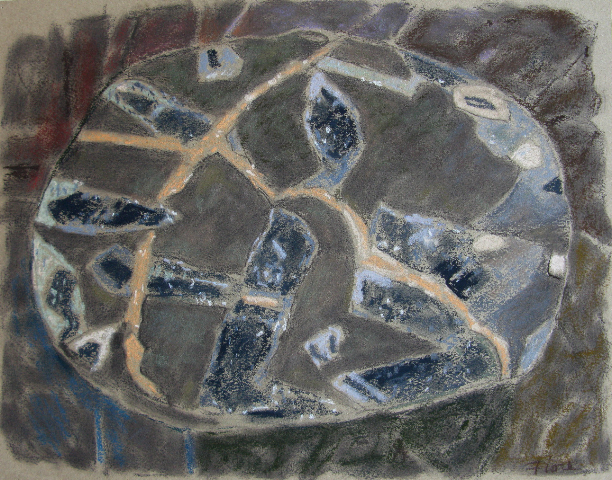 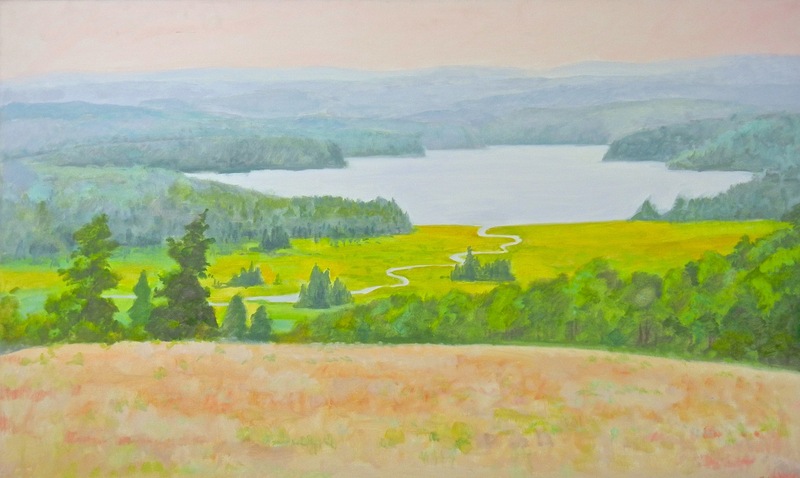 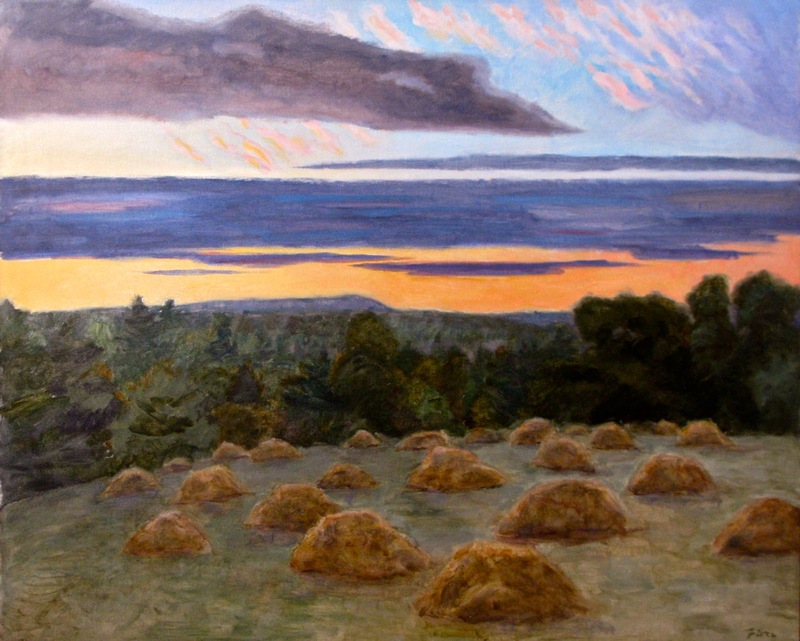 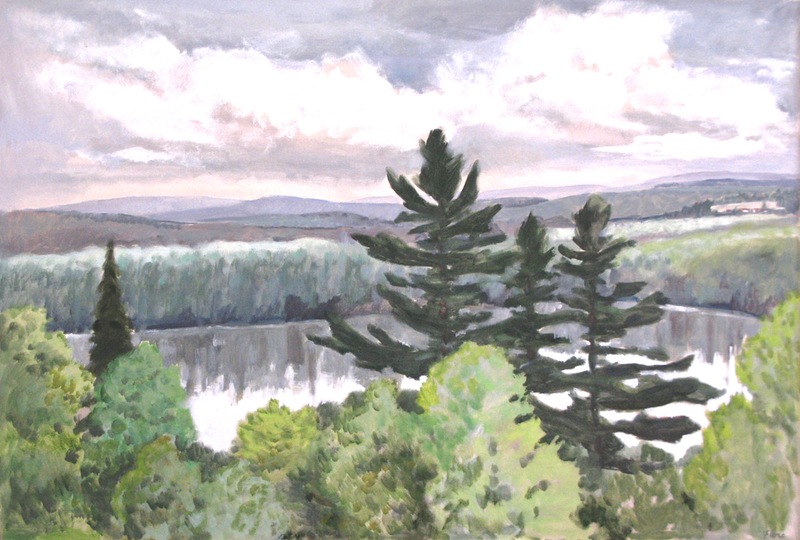 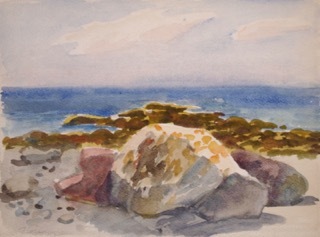 Close to forty art works have been donated to Maine Farmland Trust with this very mission in mind. 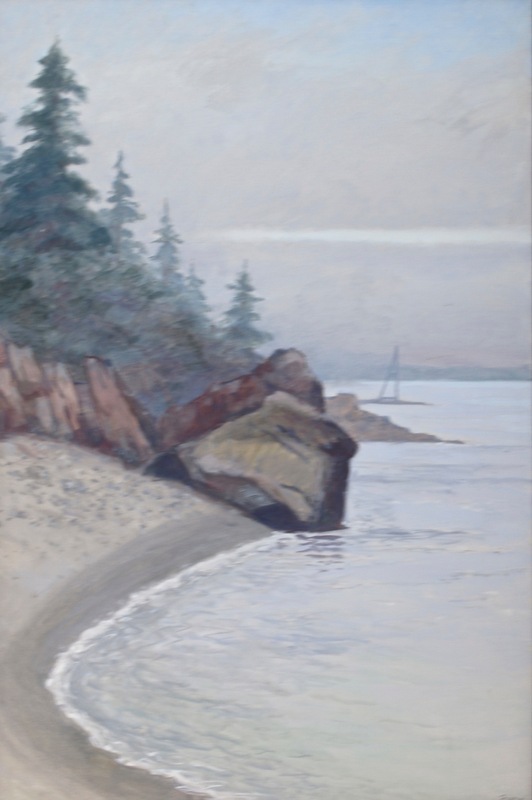 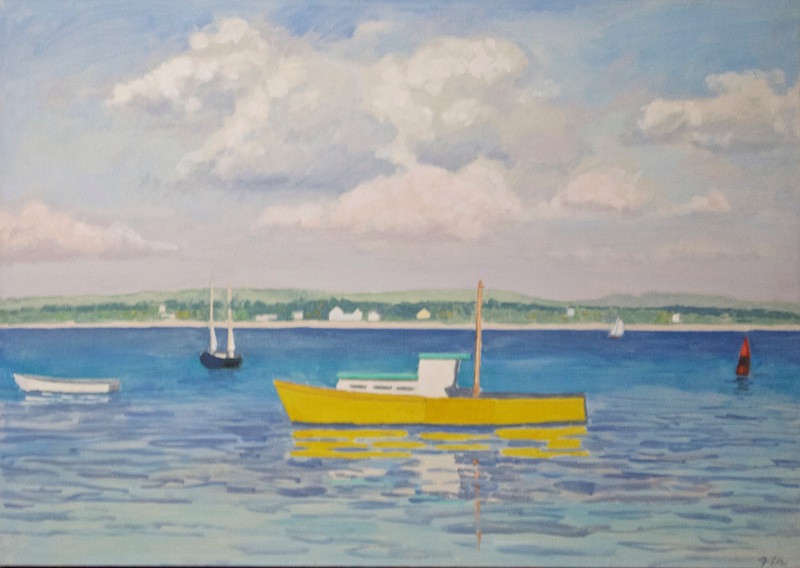 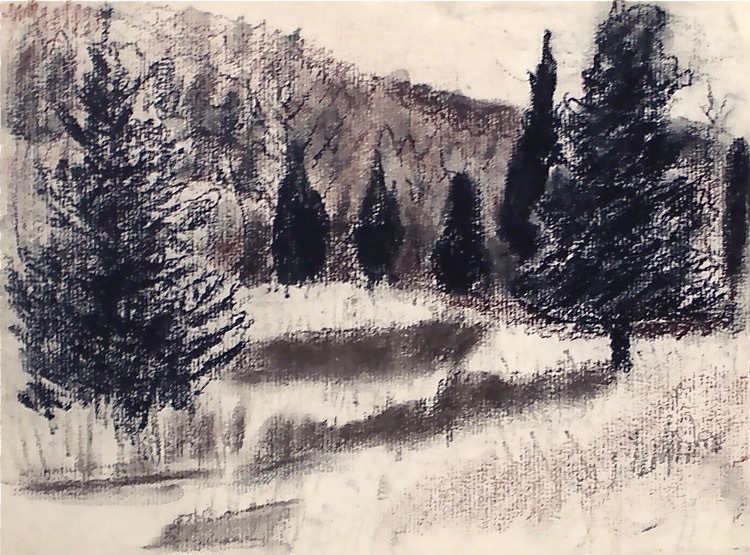 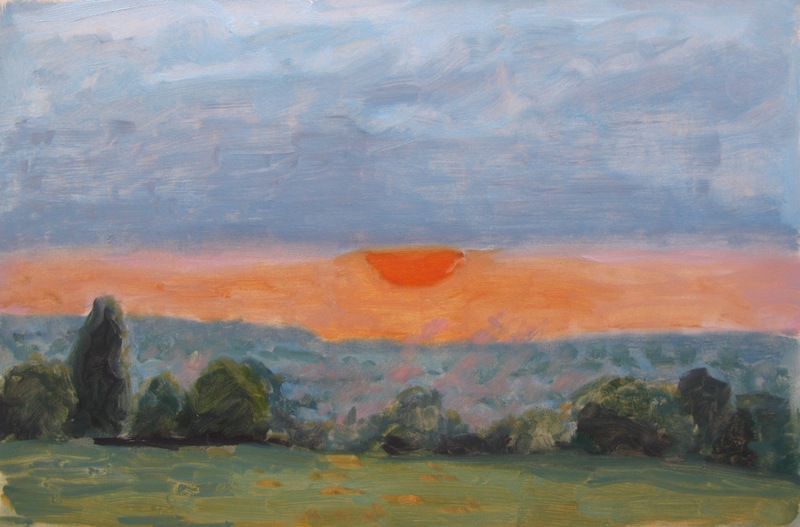 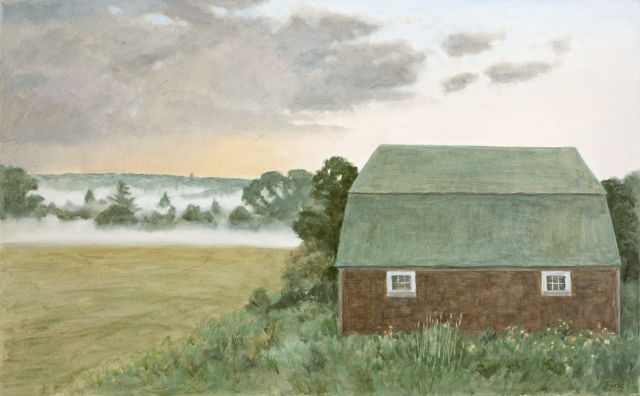 When purchasing Joseph Fiore's art, 100% of the proceeds goes directly to farmland preservation in Maine. 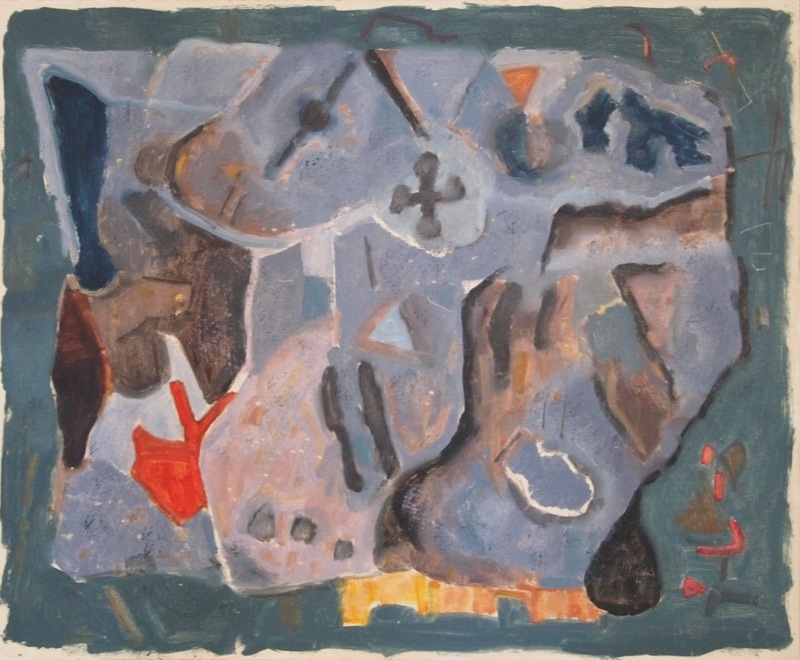 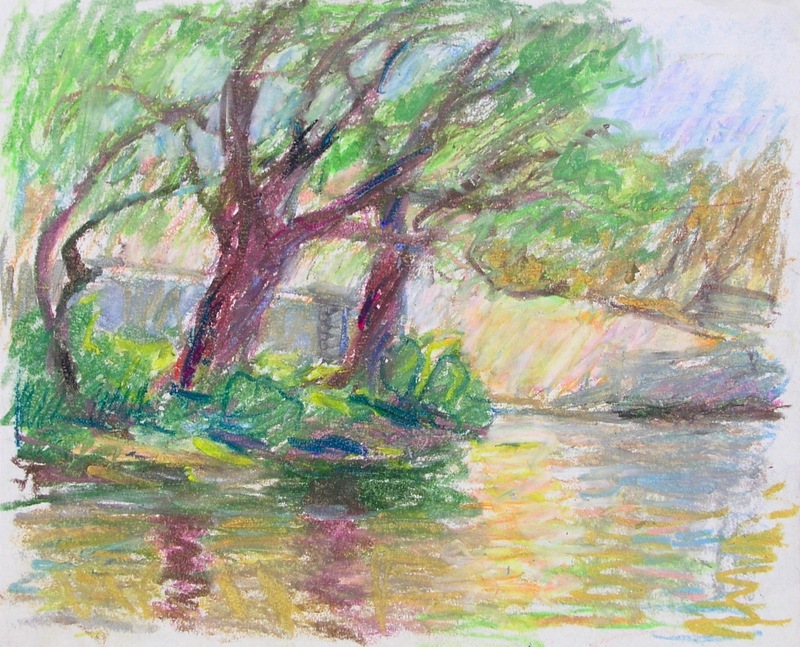 Fiore's plein air paintings led the way to the later, well-known abstract work. 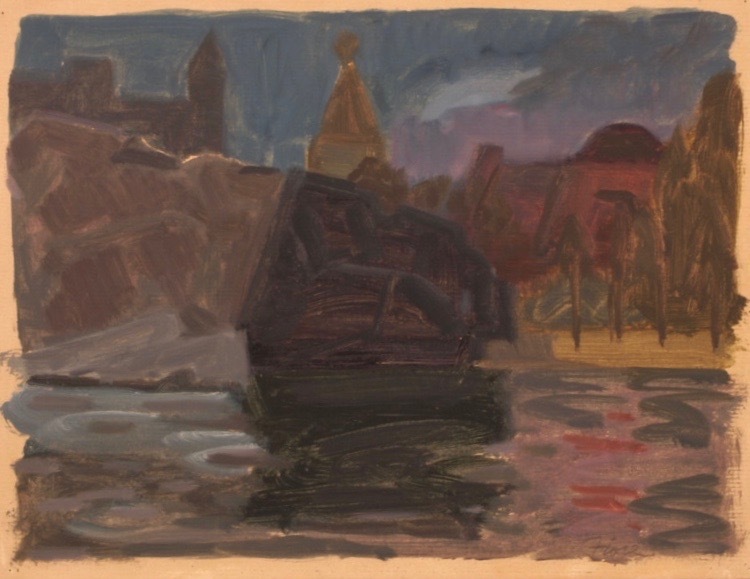 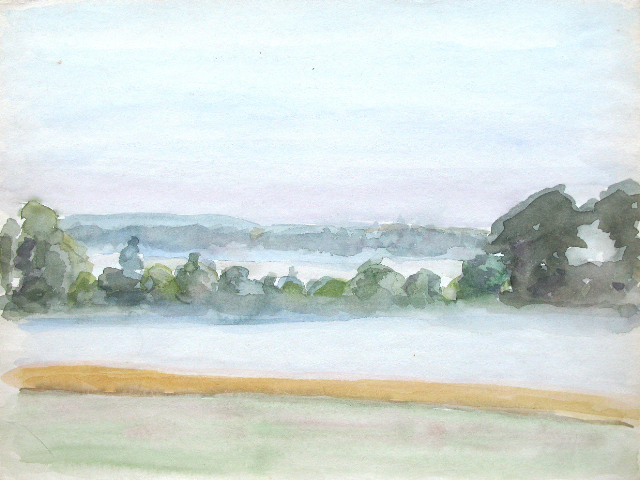 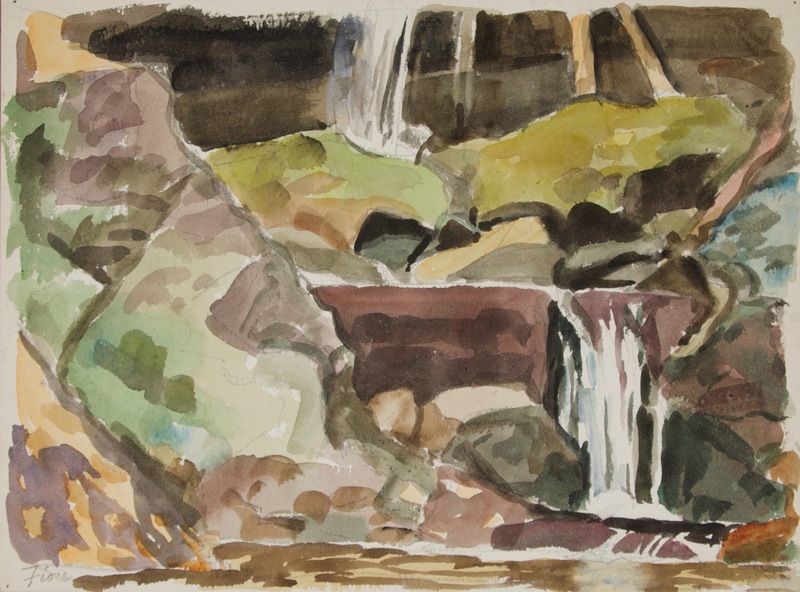 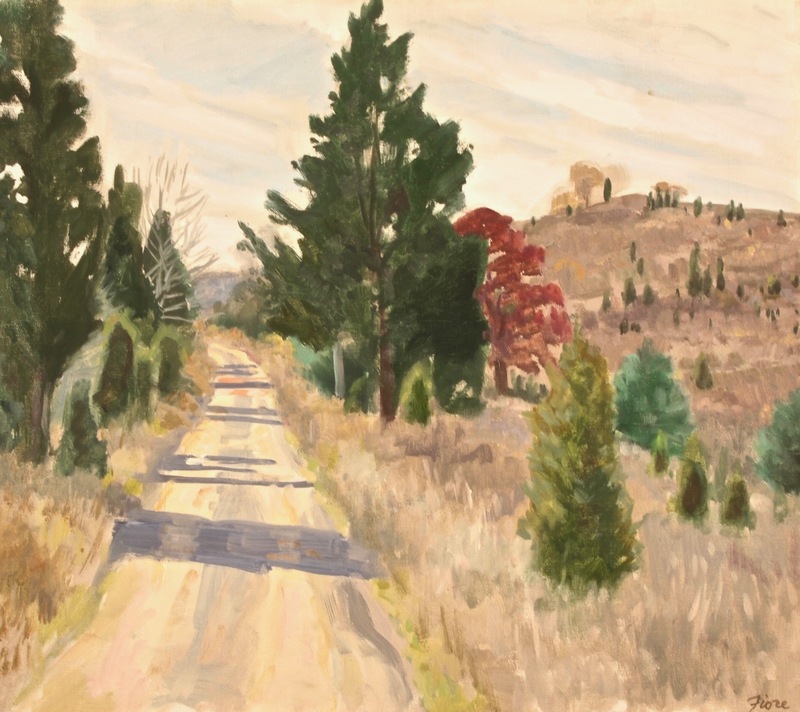 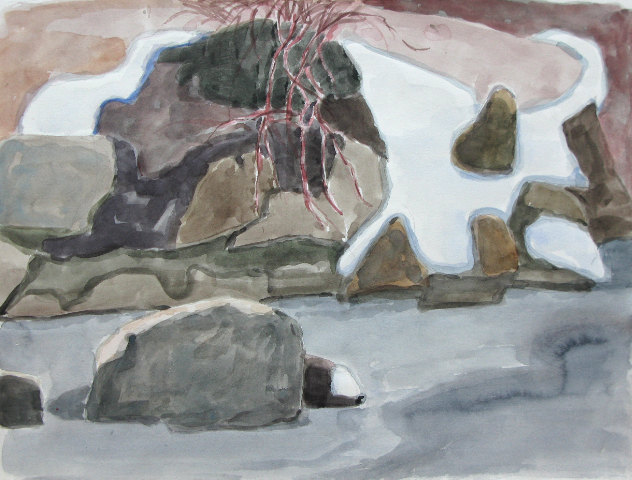 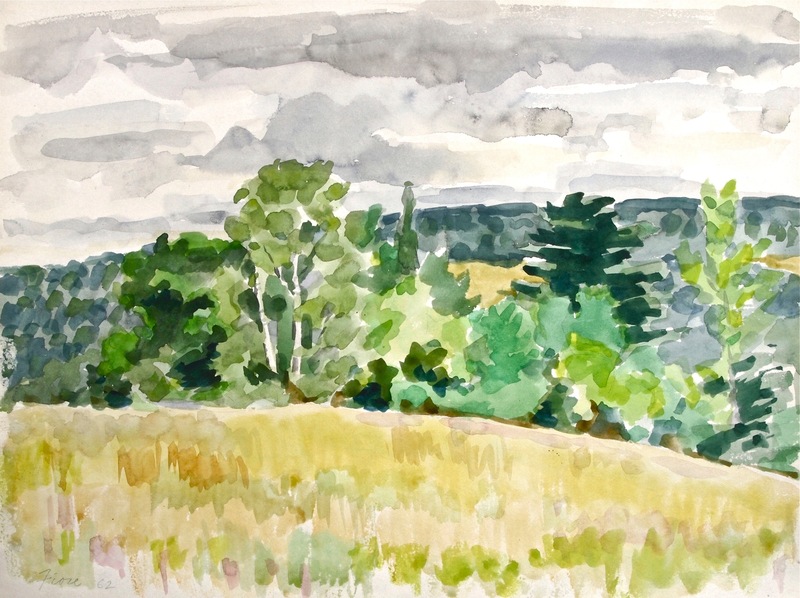 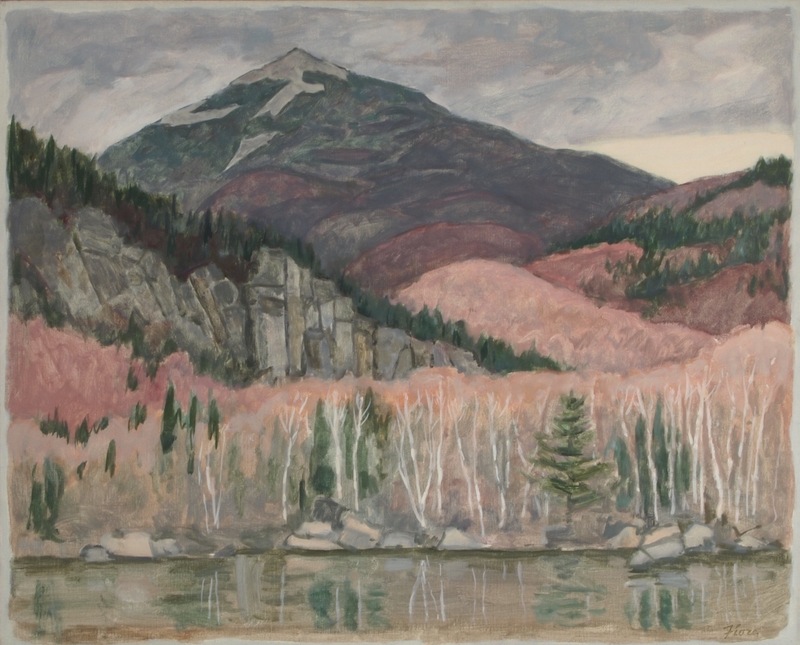 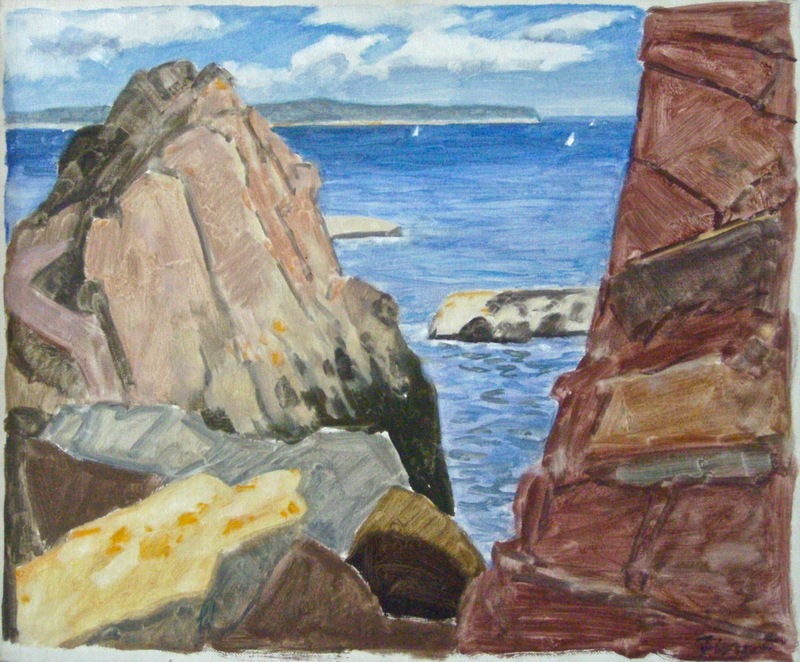 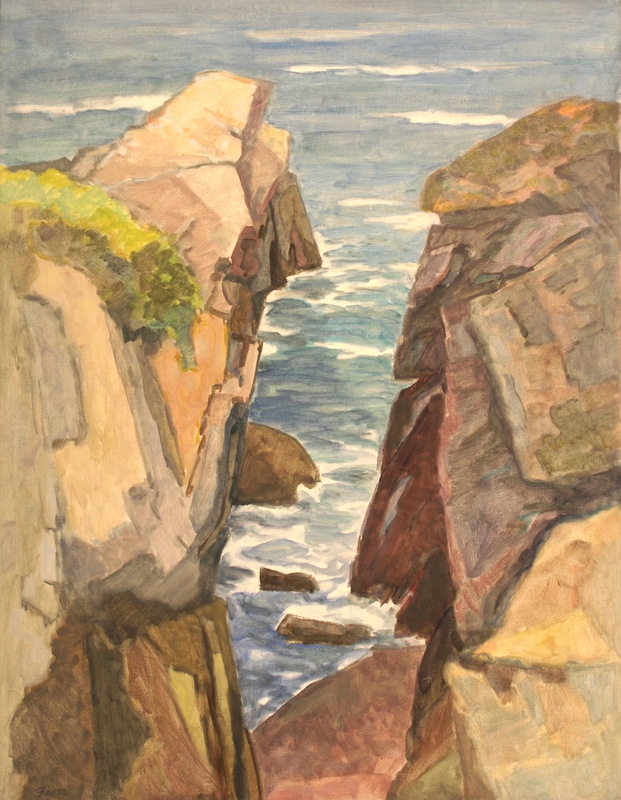 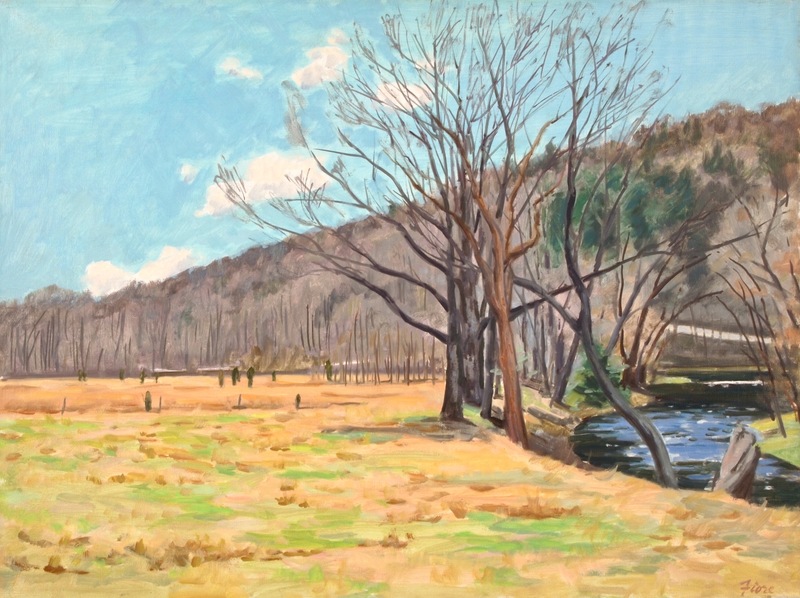 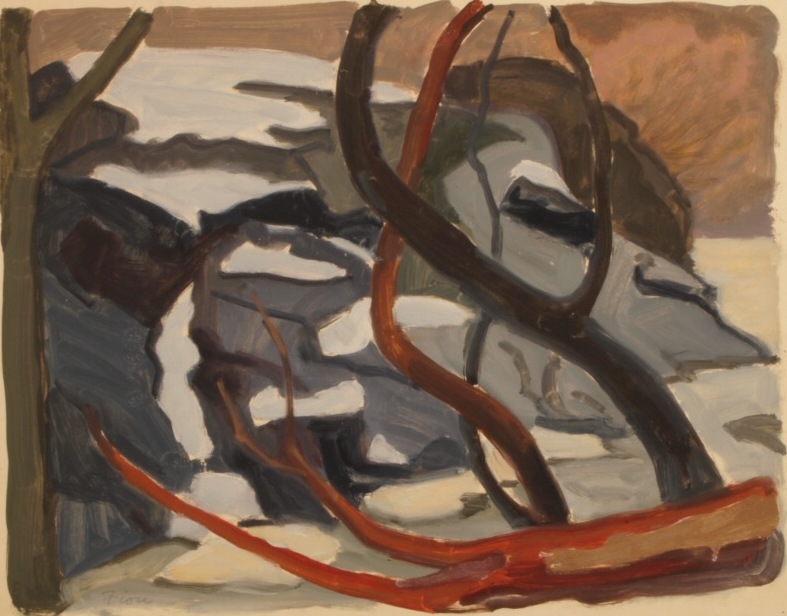 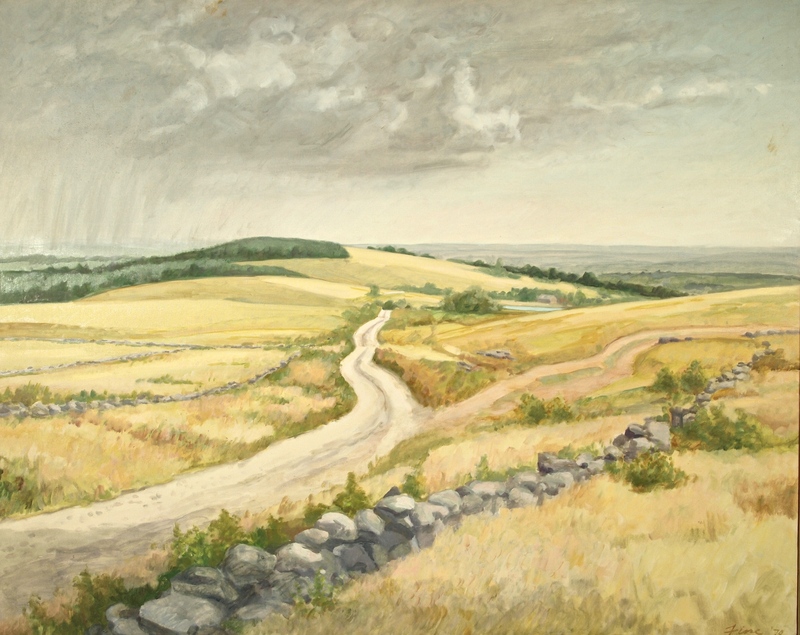 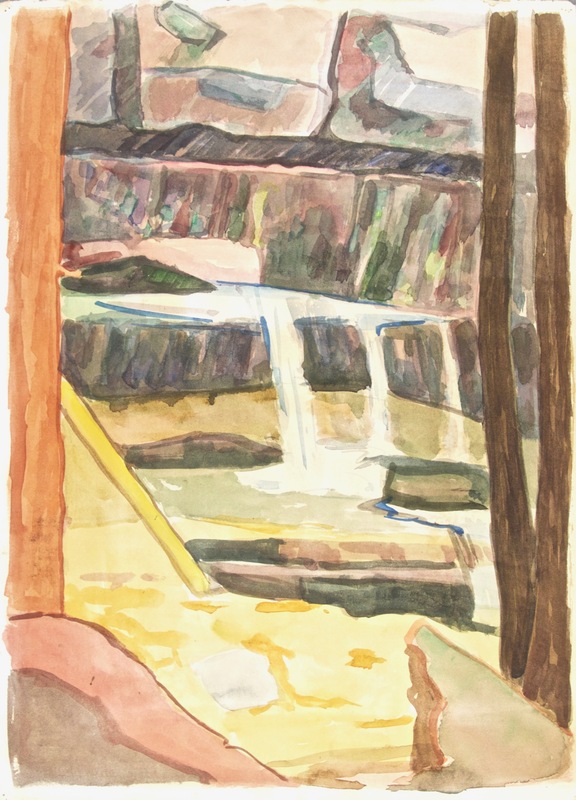 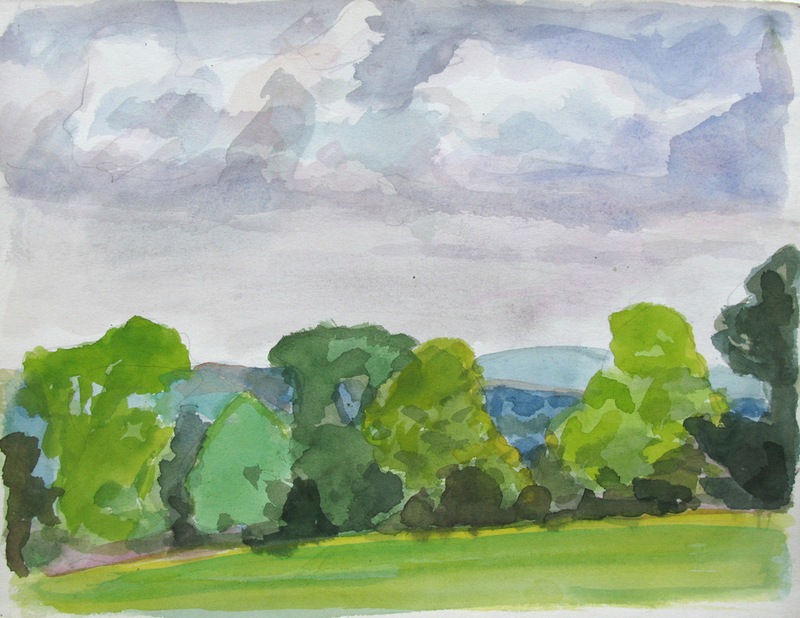 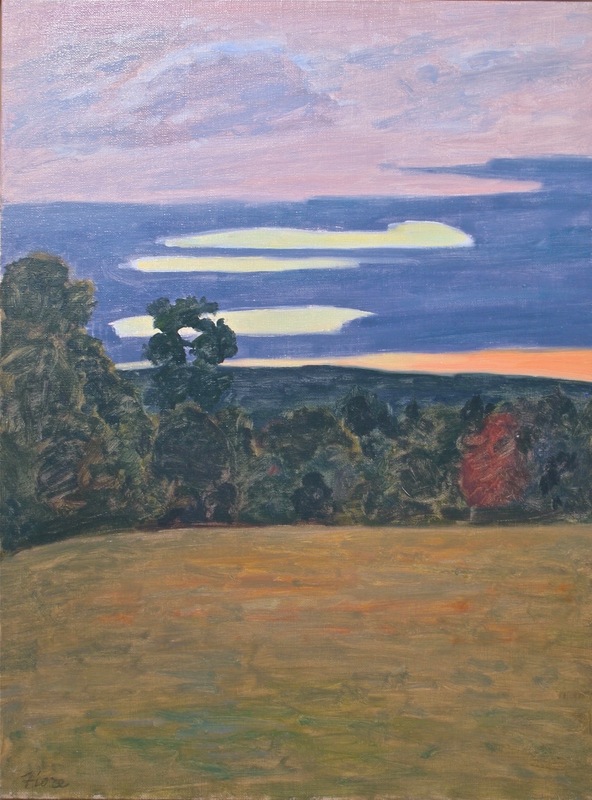 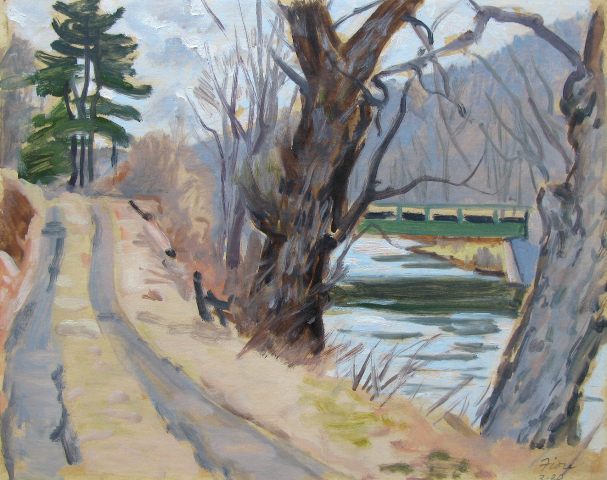 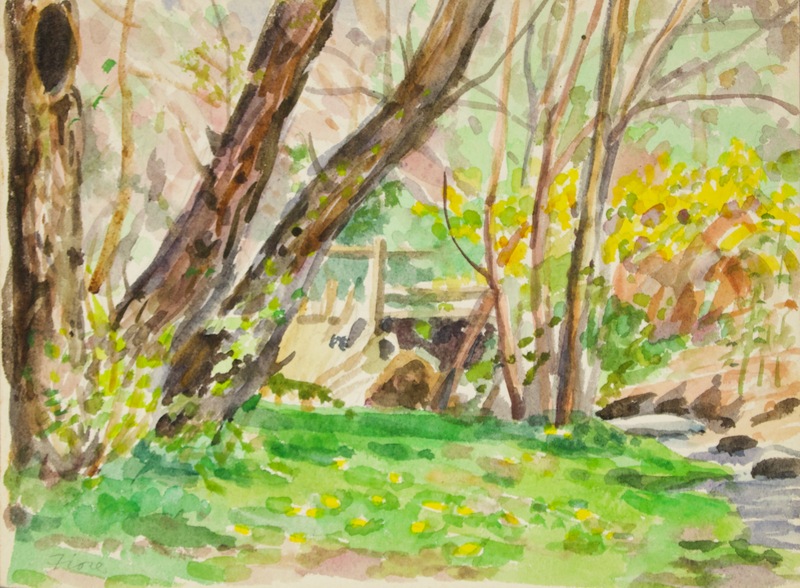 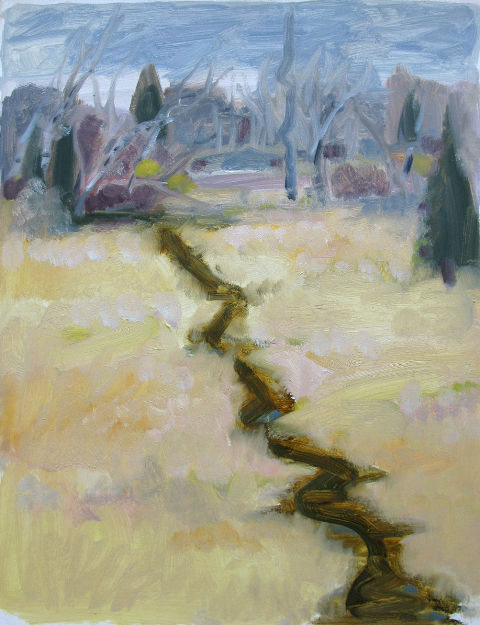 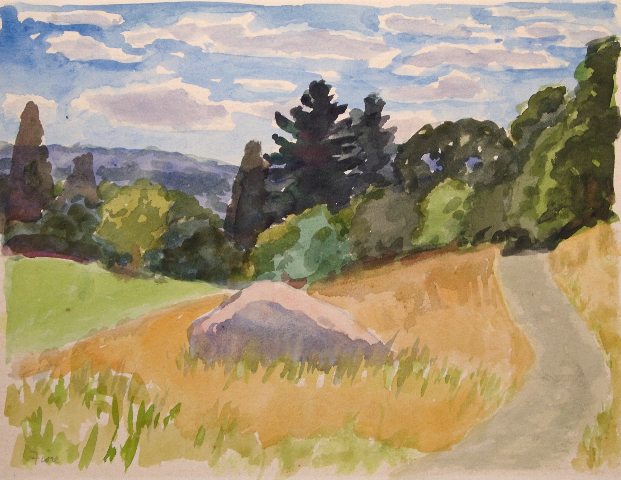 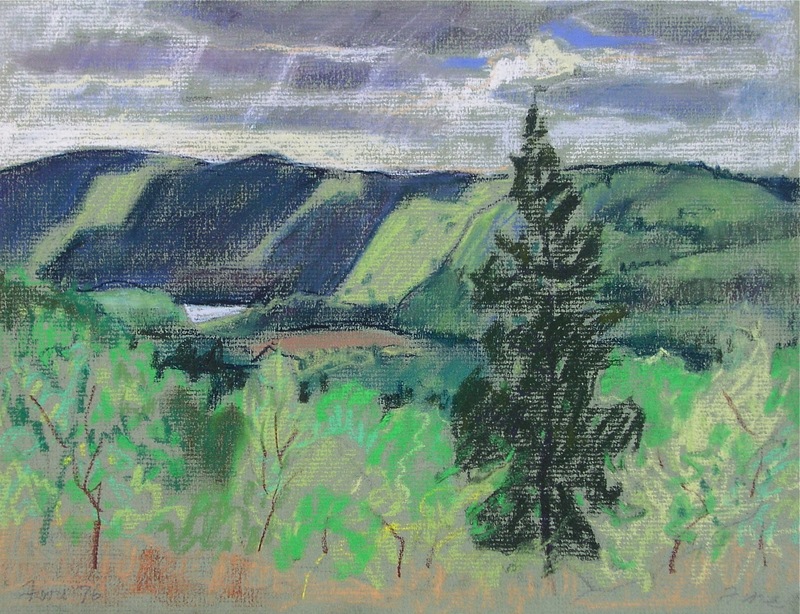 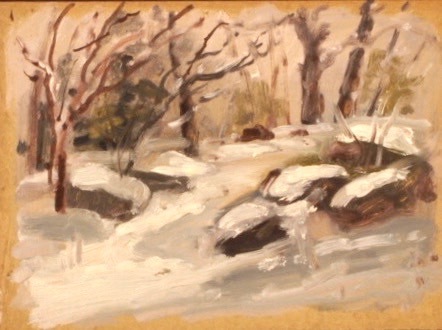 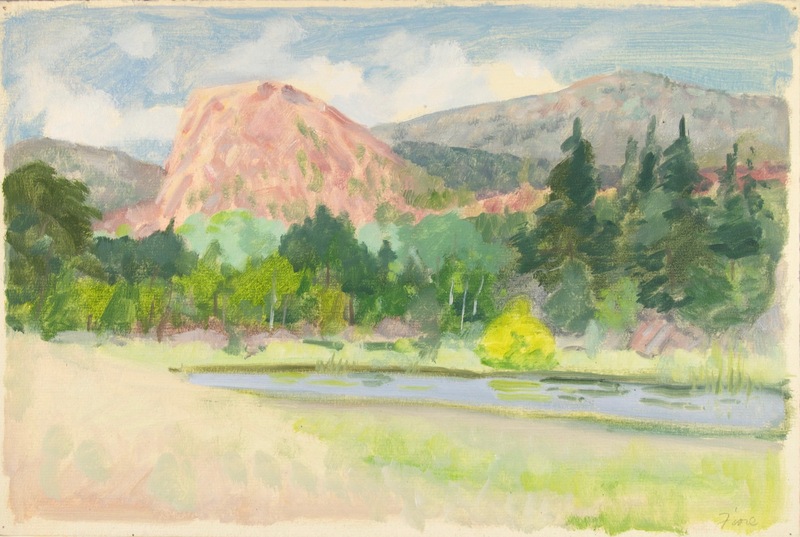 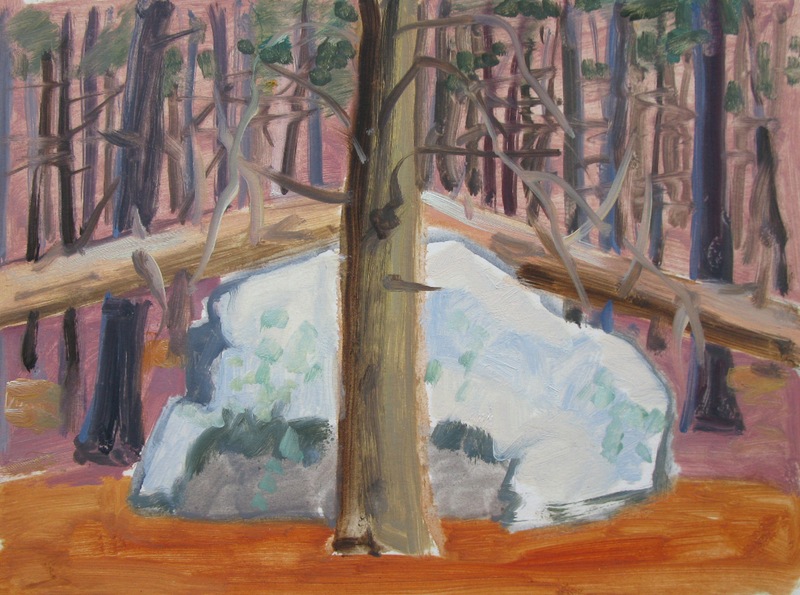 About the landscape works, artist and critic, Fairfield Porter, wrote in "The Nation", November 5, 1960, "Fiore's more or less abstract landscapes seem to express the oriental view that man's value inheres in an equality to the other small parts of an immense whole…Fiore does not usually paint separate things – isn't a valley, a storm, weather, light, a relationship?" 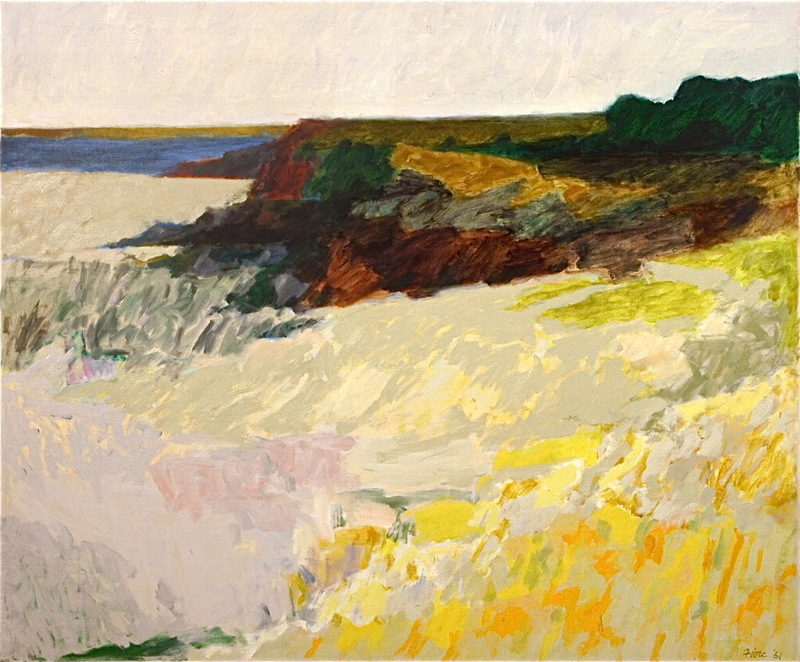 Fiore began as an abstract painter, moving through several transitions in his life as an artist. 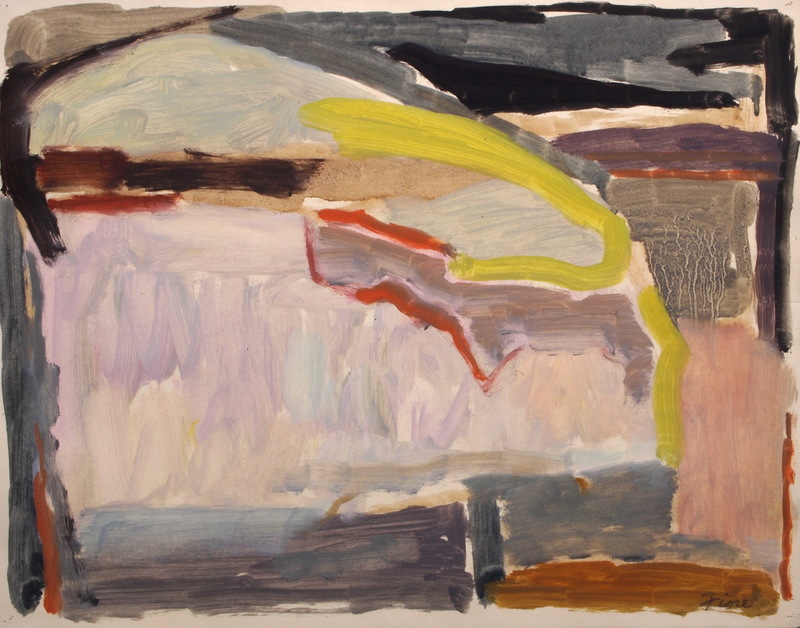 He studied at Black Mountain College in North Carolina with Joseph Albers and Willem deKooning, and later taught there from 1949-1956. 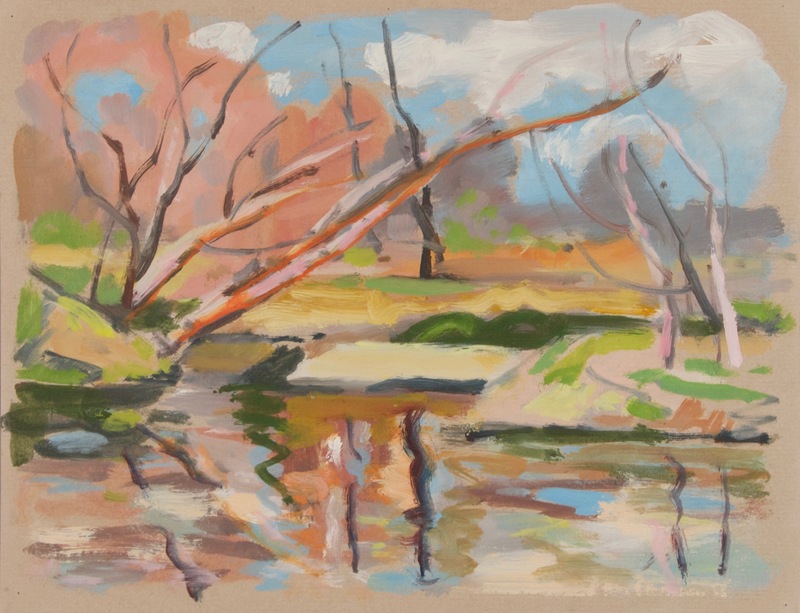 He also taught at the Philadelphia College of Art, the Maryland Institute of Design, the Parsons School of Design, and the Artists for Environment Foundation. 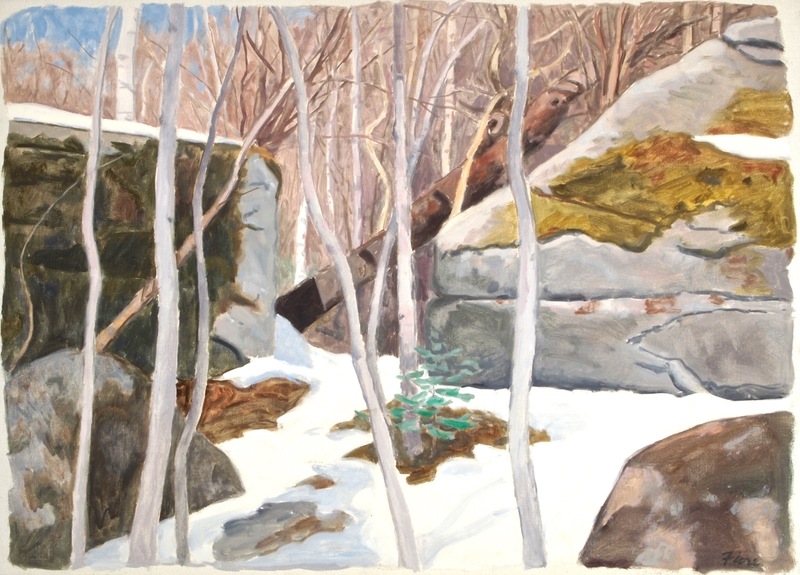 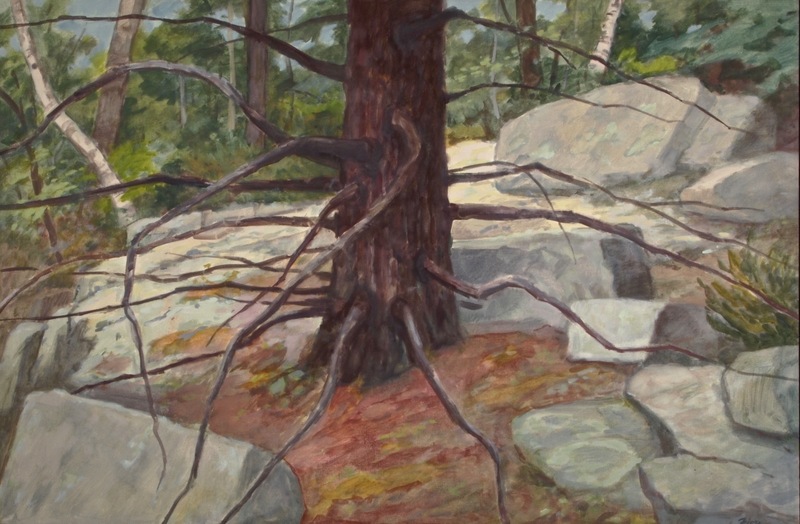 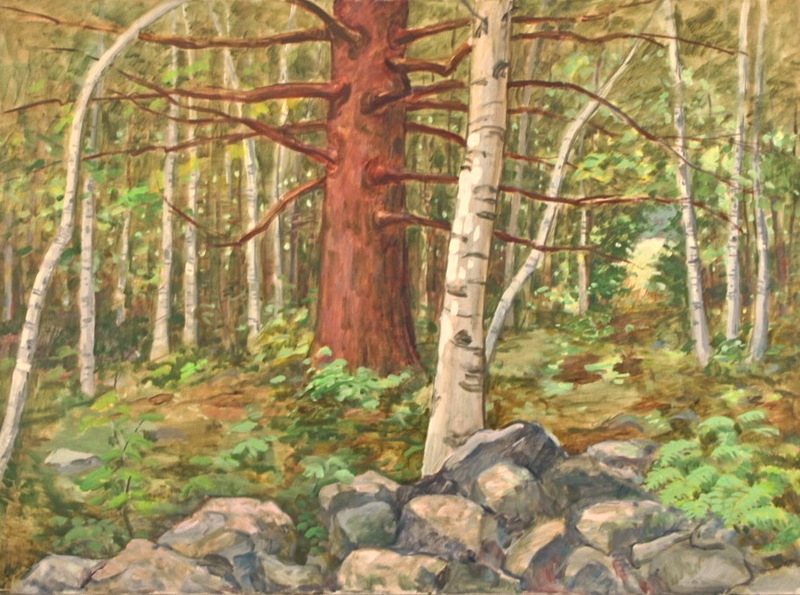 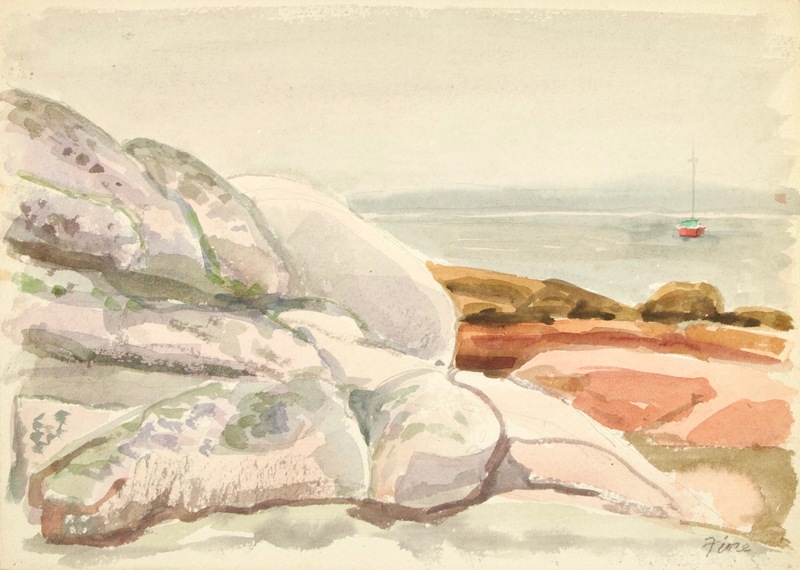 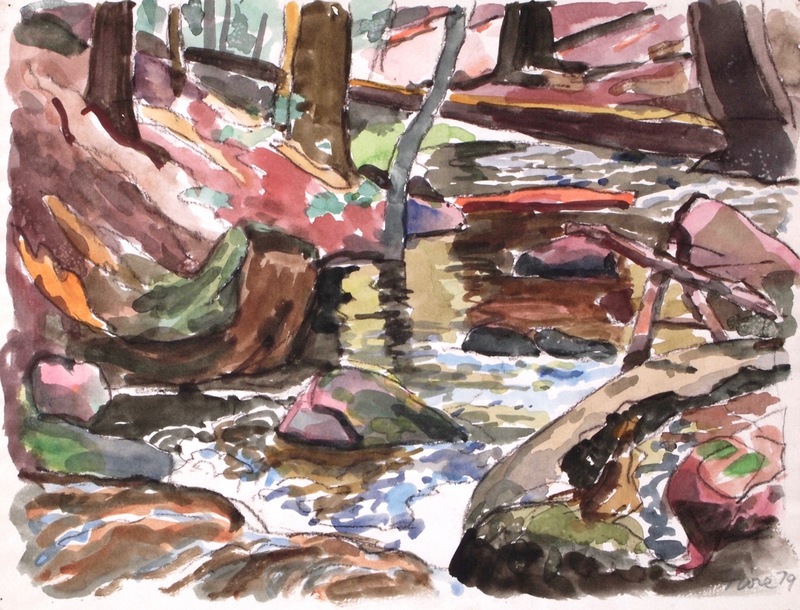 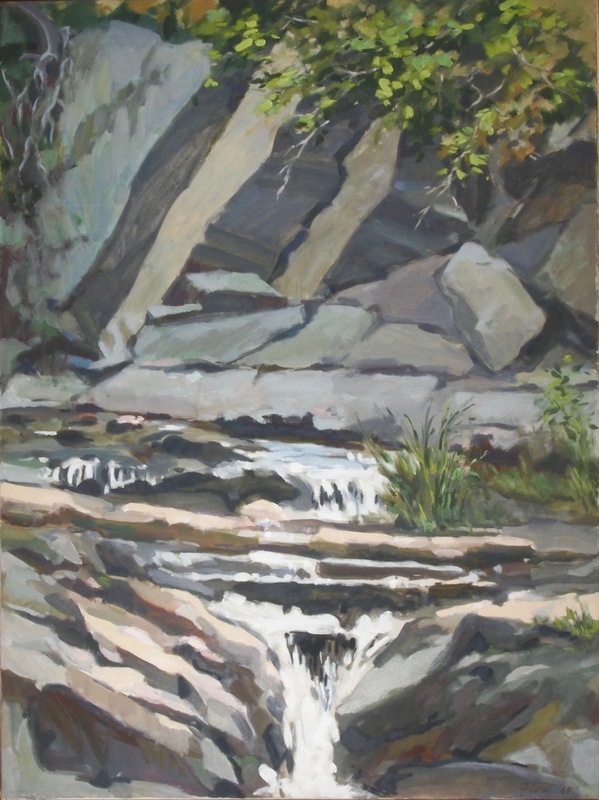 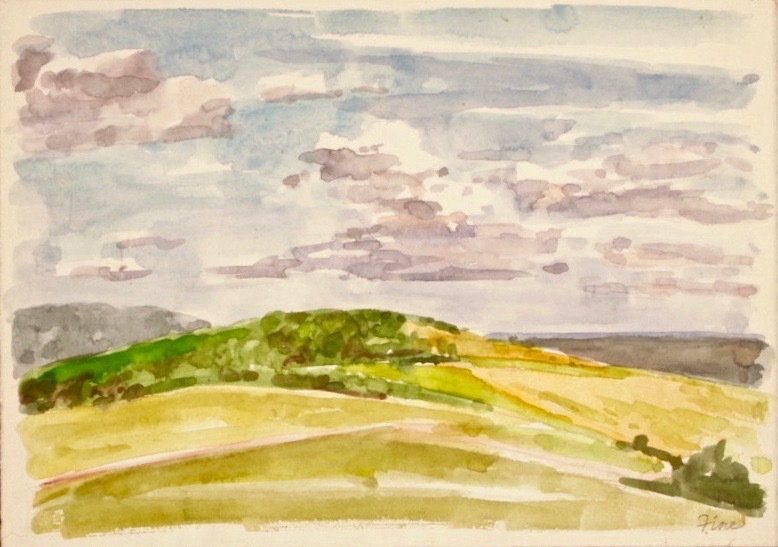 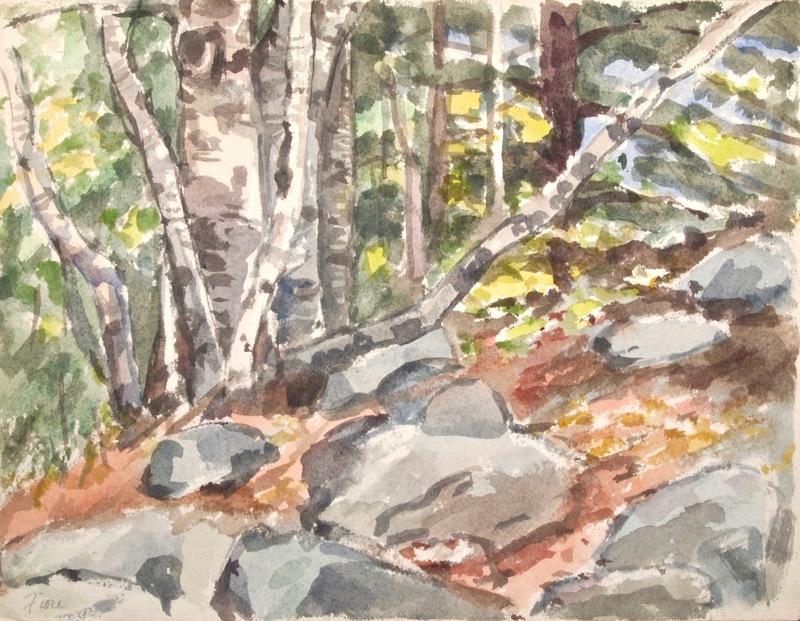 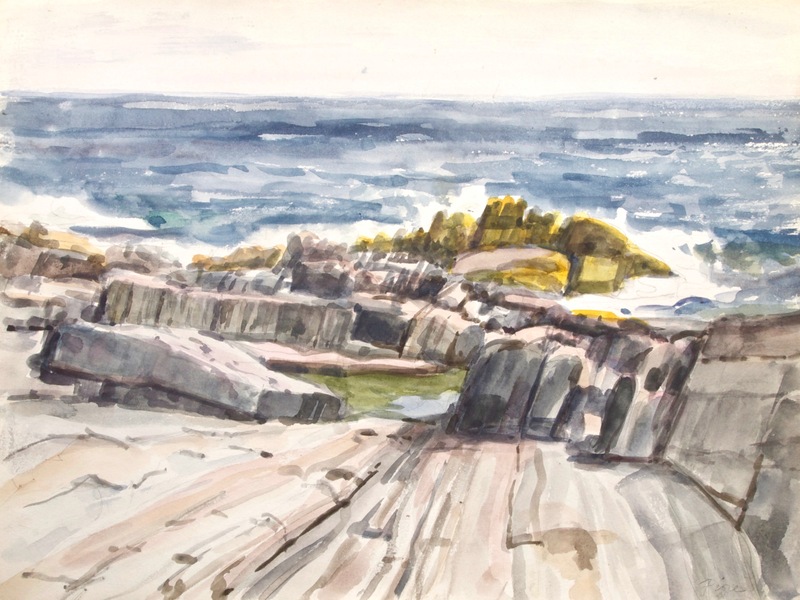 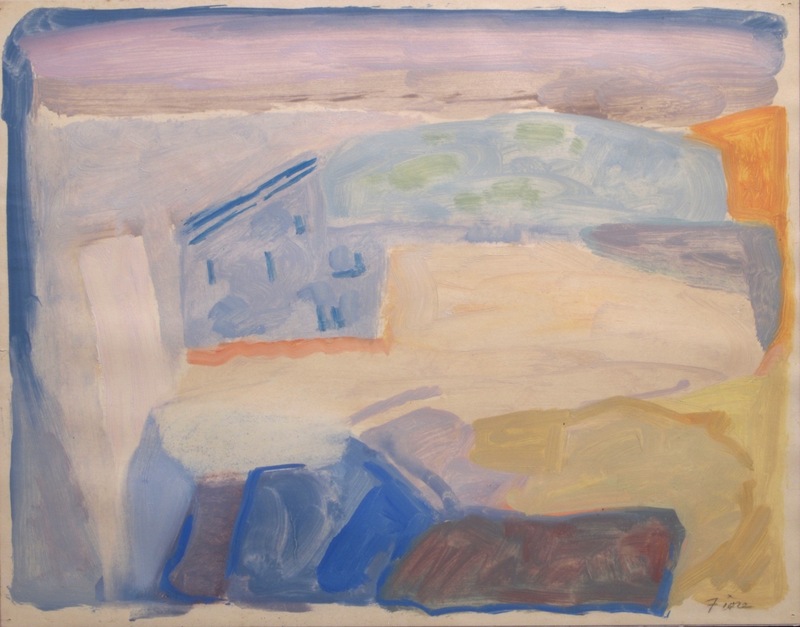 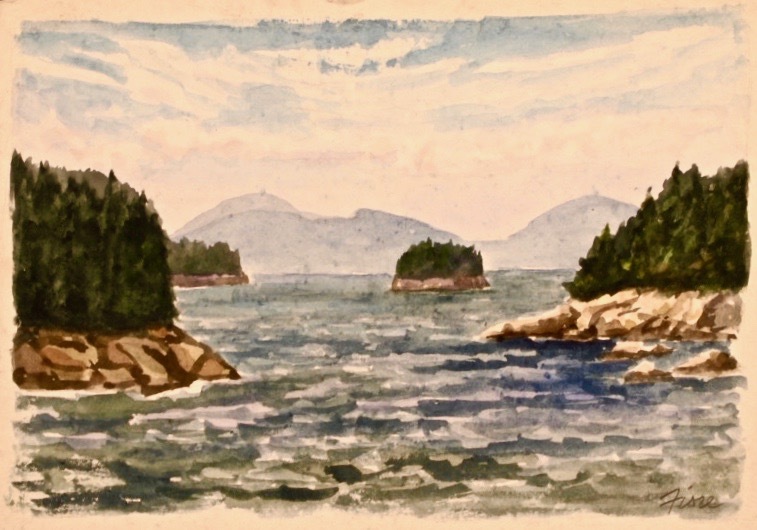 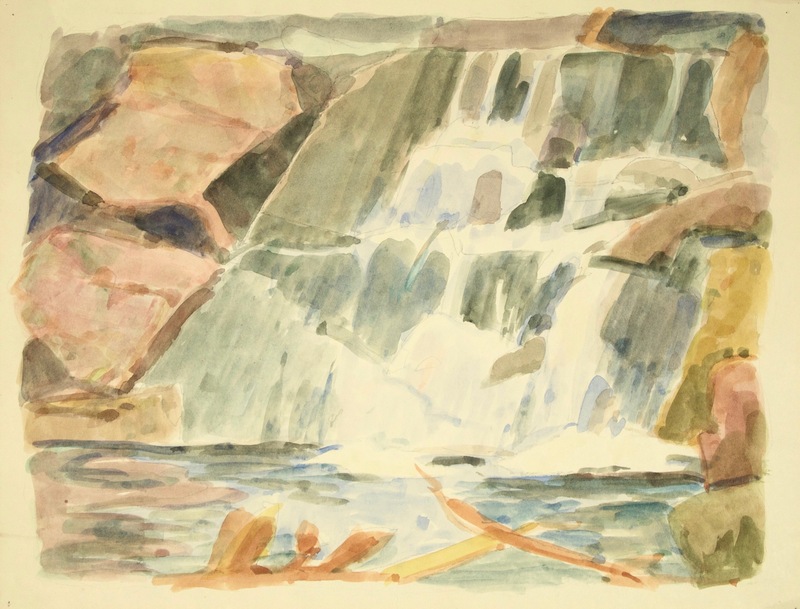 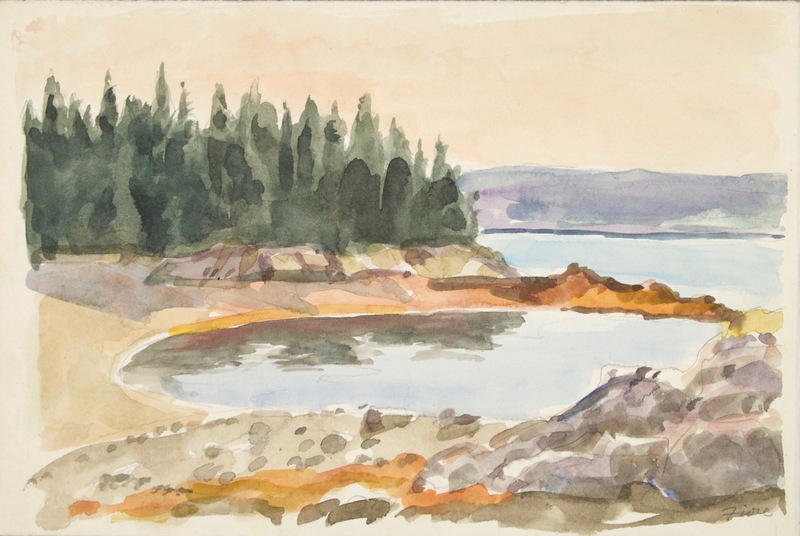 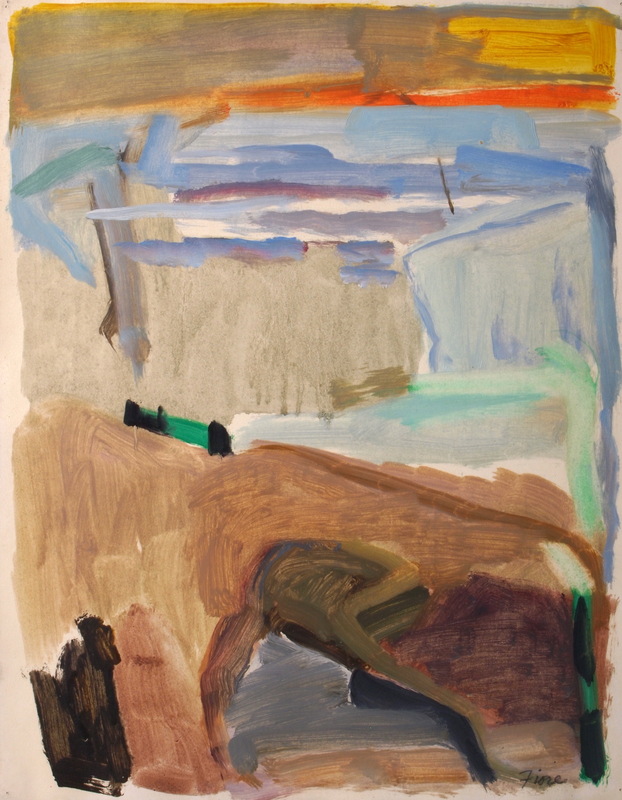 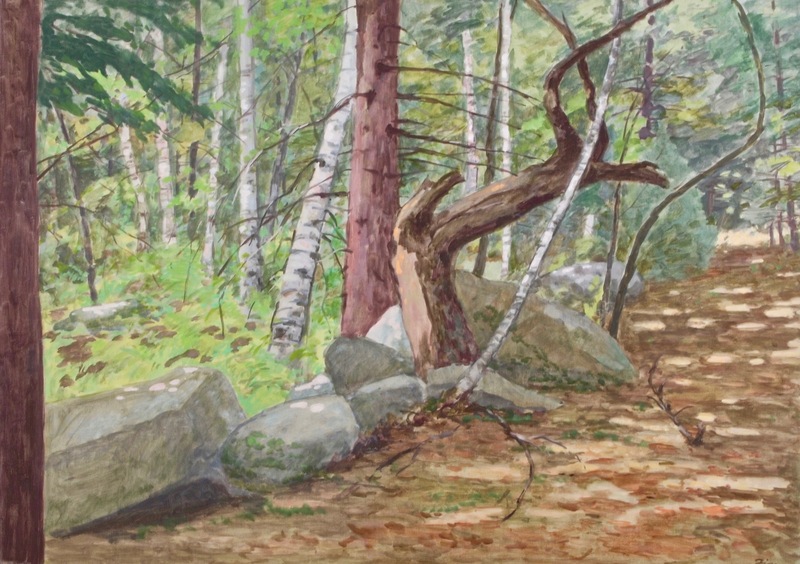 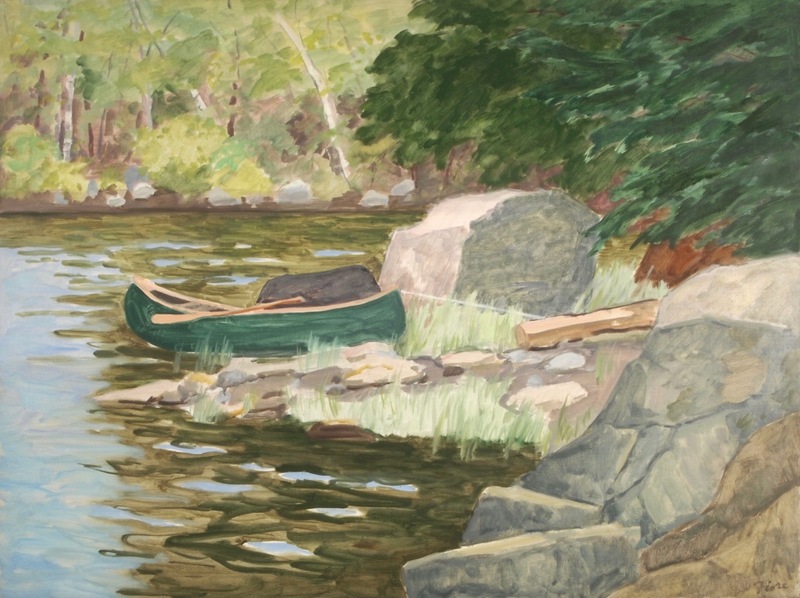 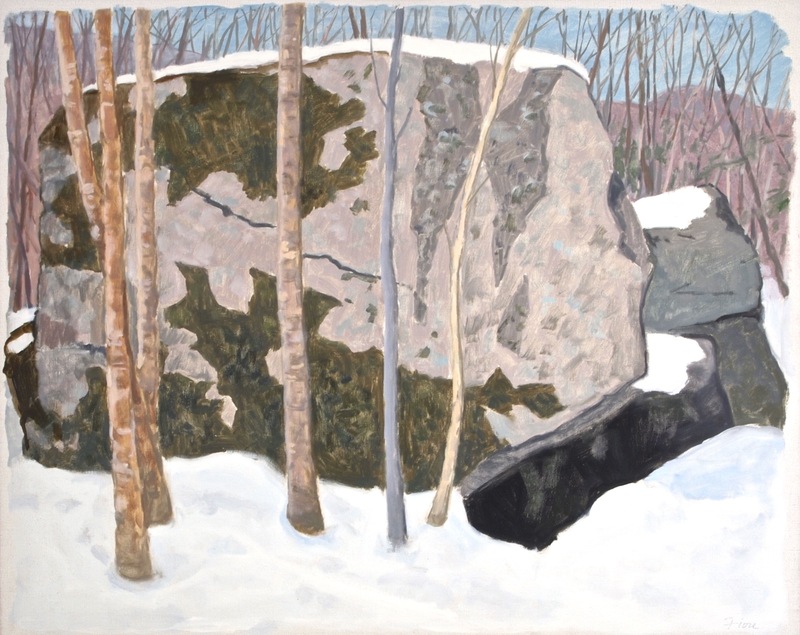 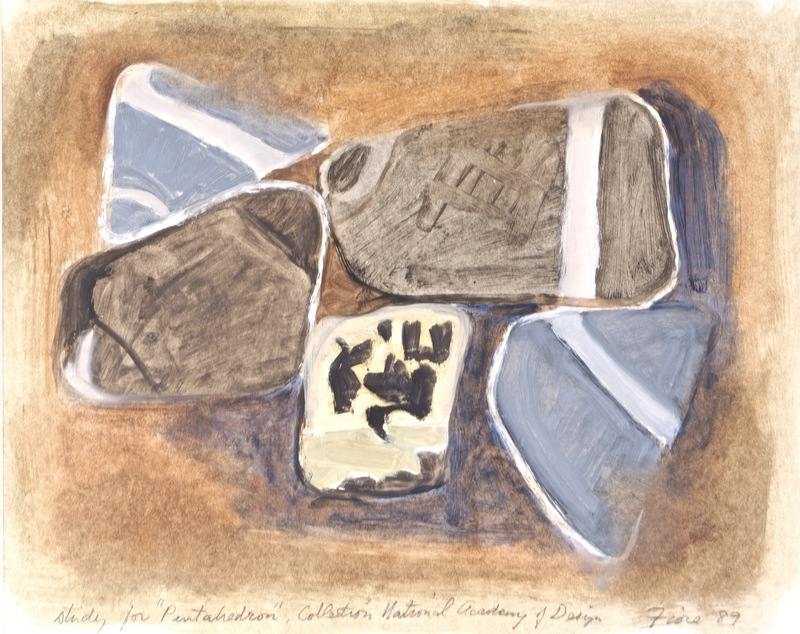 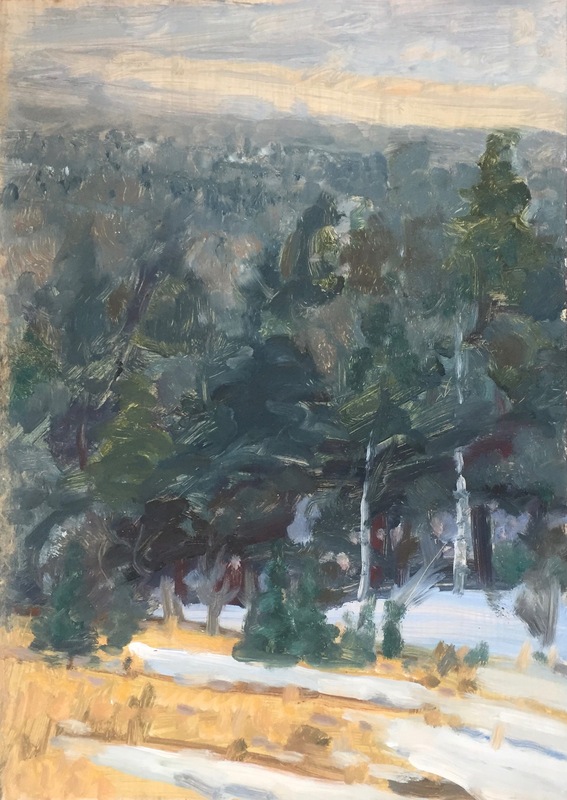 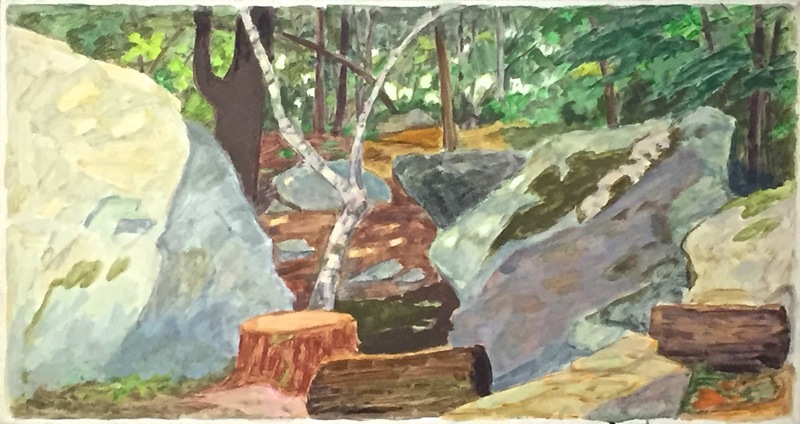 Moving in and out of landscape painting, mostly as a result of spending summers in Maine since the 1950's, the artist felt that his abstractions derived from the "primal impulses" to be felt in the deepest working of nature and time. 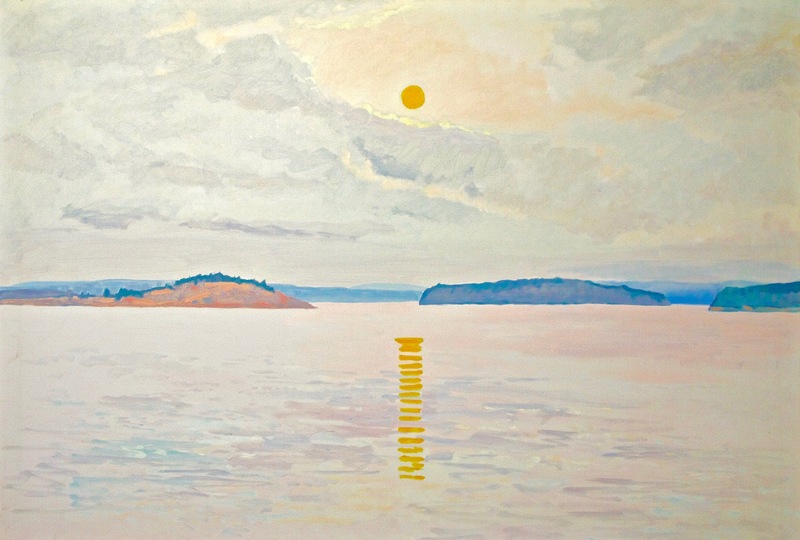 The landscapes led him to reflect upon the geometry of the universe; he firmly believed that both artist and scientist alike play a part in this geometry, which through careful study becomes a part of who they are. 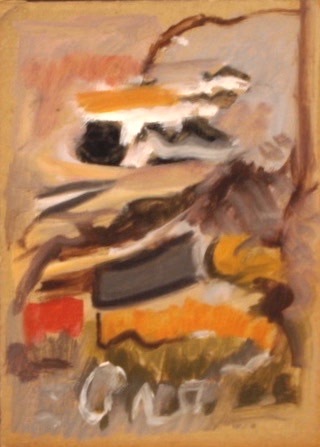 For him, the crossing back and forth from representation to abstraction nourished the two modes. 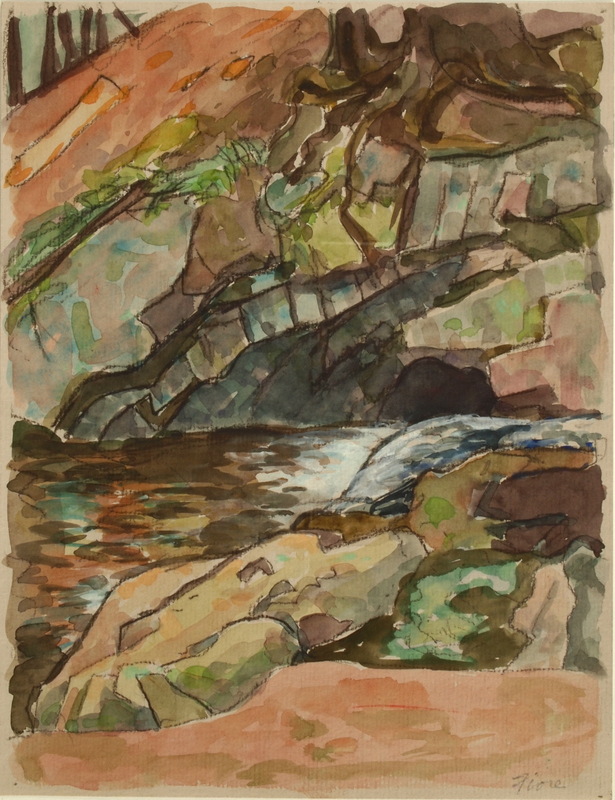 Born in Cleveland, Ohio, music also played a major role in his life and work. 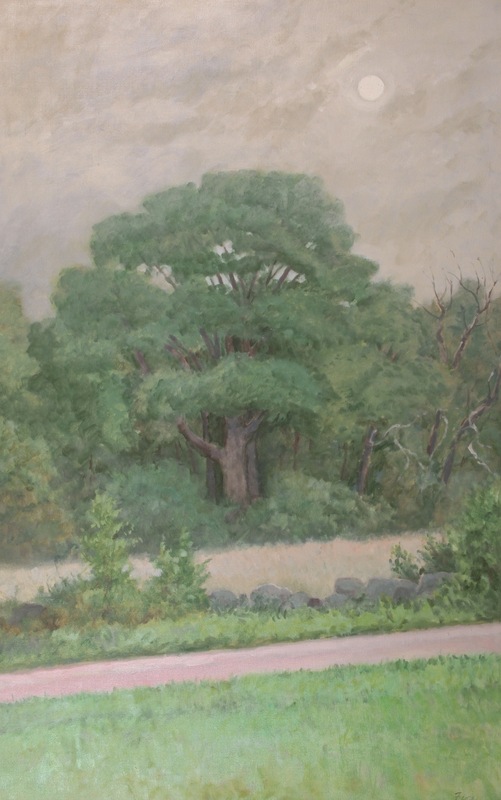 His father, Salvatore Fiore, was a founding 40 year member of the Cleveland Orchestra. 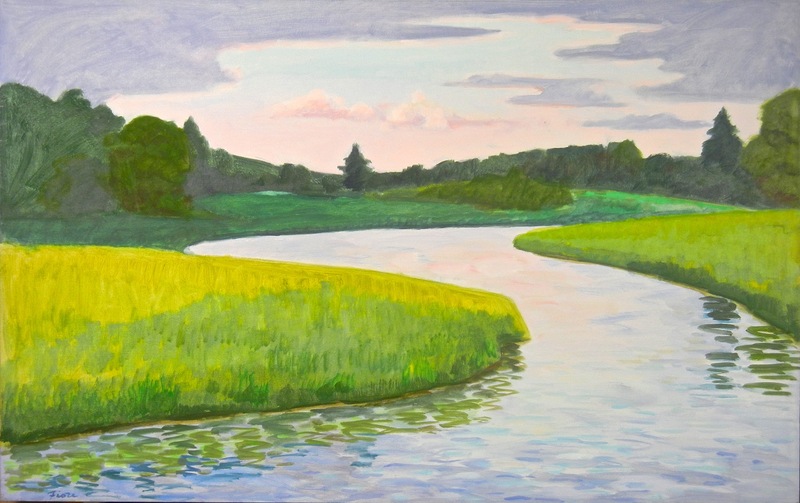 Fiore's imagery and color certainly have a musical arrangement quality to them. 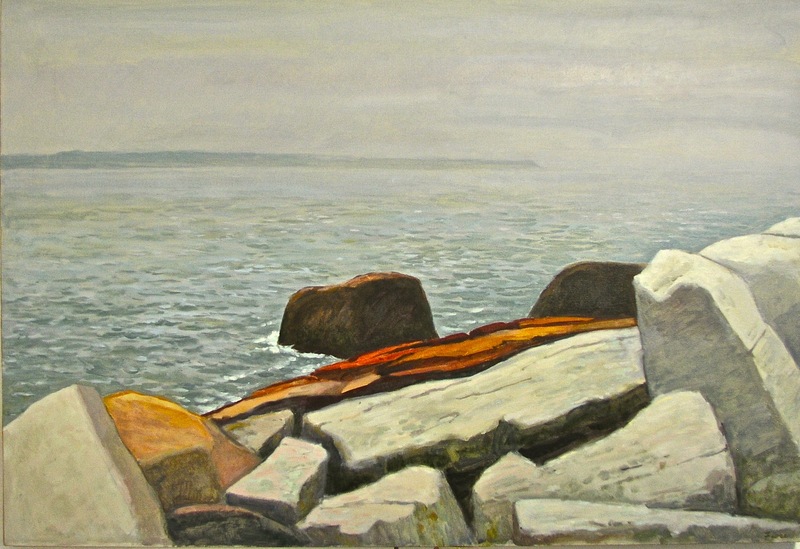 The artist passed away in 2008 at the age of 83.